The part I really love about my new job is the opportunity to meet with Nepalis and see new and exciting developments in the country. 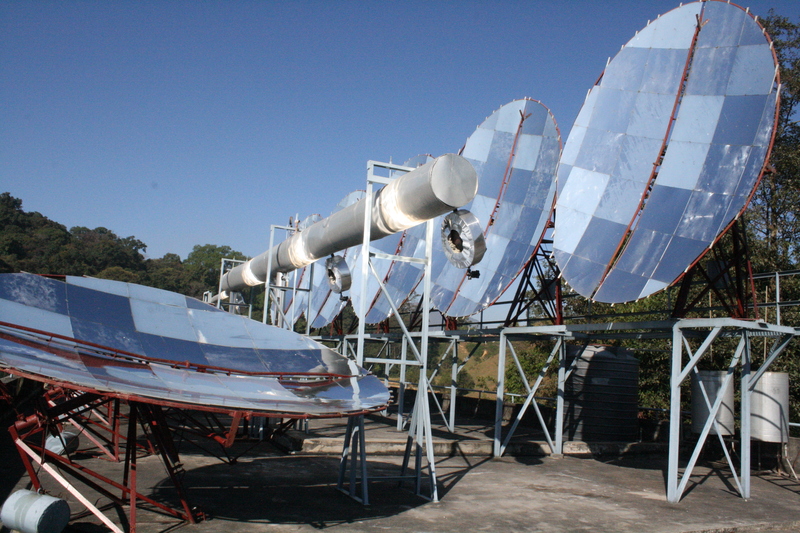 Alternative energy has great development potential in a country with many sunny days and plenty of raging rivers. 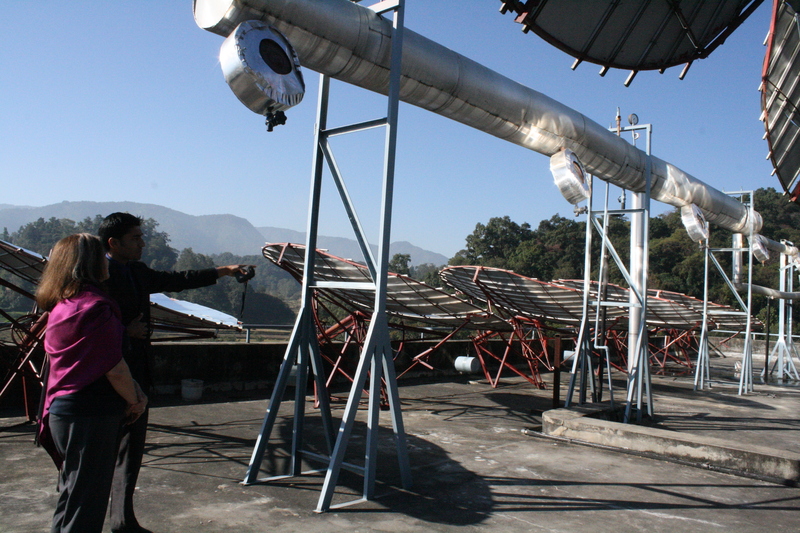 I had no idea that there was a eco-school near Kathmandu, Vajra Academy, that runs solar cookers for the kids from an elaborate solar system on the roof. 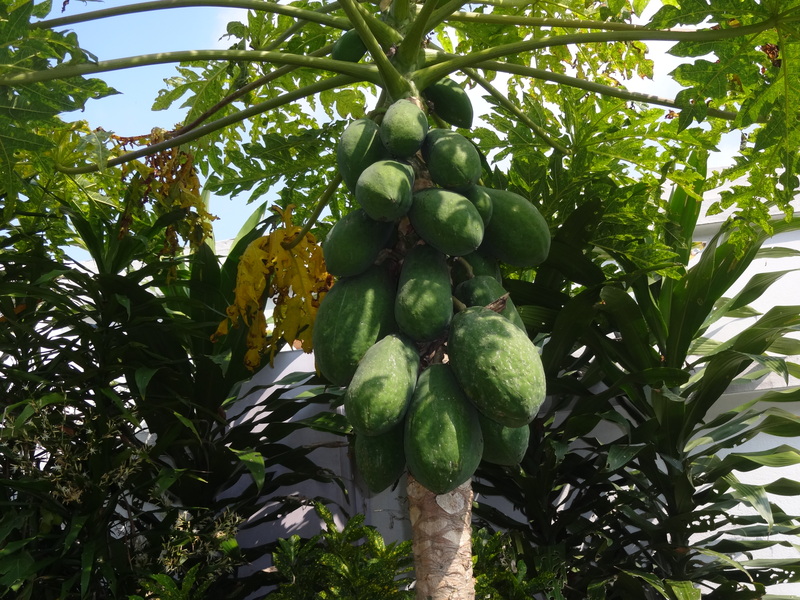 They also have an organic garden as a real source of their food, recycling programs, a couple of dairy cows, and an academic and practical sustainability program built into their curriculum. They demonstrated to me how the discs turn with the sun each day. The center raised pipework is a rainwater harvesting system. I wish I had longer to view all the other initiatives at the school. 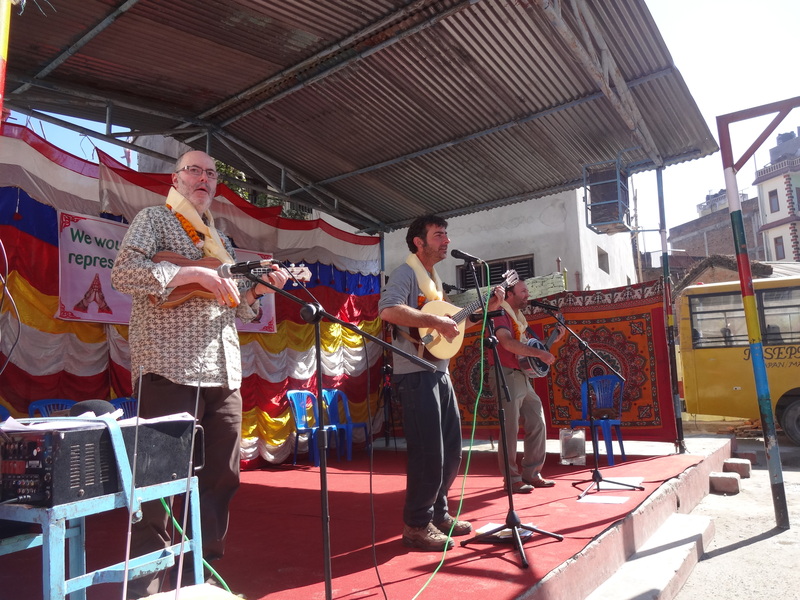 But I was there to pick up a three-man eco-rock band from New York, who had been sponsored by the academy during their first solar trek in Nepal. 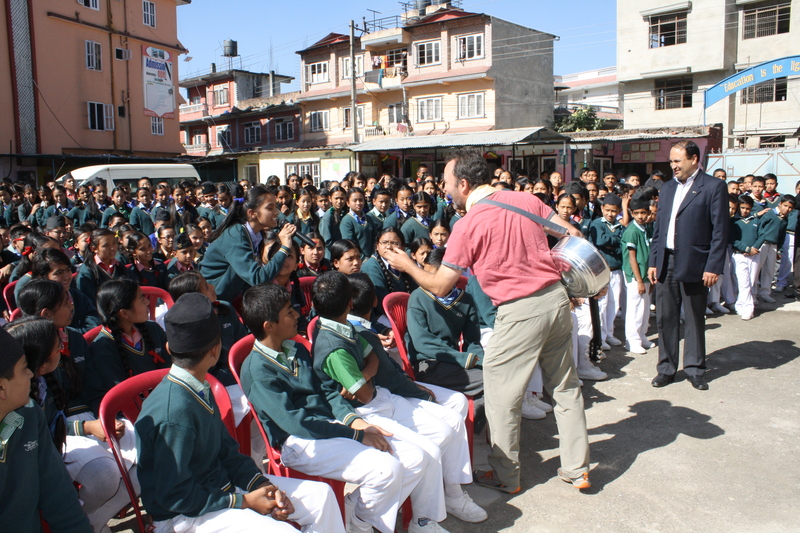 I was taking them to meet the kids at a couple of Kathmandu schools where they could play music, demonstrate portable solar energy devices and share the potential of a solar powered future in Nepal. 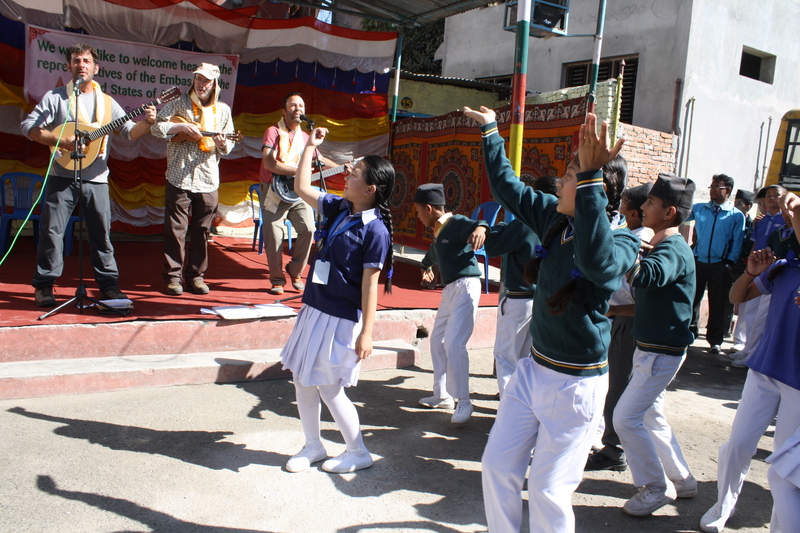 It took them a little while to warm up, but once the band played a Nepali folk song, everyone knew the words and the kids started to dance. That was the best part for me! 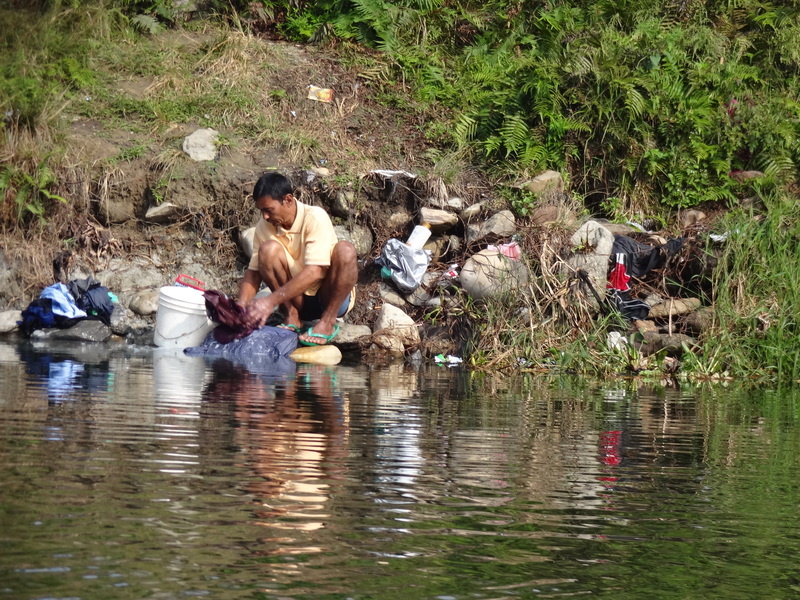 Nepal has a lot of environmental challenges. Its easy to see the problems: pollution, deforestation, garbage, litter, water pollution… But this was a sincere attempt to touch a nerve with Nepal’s future generation. Hopefully, everyone took away a little taste of the country’s potential for clean, renewable energy. And, hopefully, somewhere in the audiences that day, were one of two individuals who would grow up take a lead in the environmental solutions that this country so desperately needs. A fun and meaningful day! Some days when I go to plug something in you can hear some pretty choice four letter words ring through the house! Yet again, someone has removed the only adapter that will run my laptop/hairdryer/whatever from the chosen socket. I keep buying more….but there’s never, ever enough! All I want to do is dry my hair and I have to go through an IQ test of adapter puzzle pieces and there’s always one missing! Small version of round three pin socket. 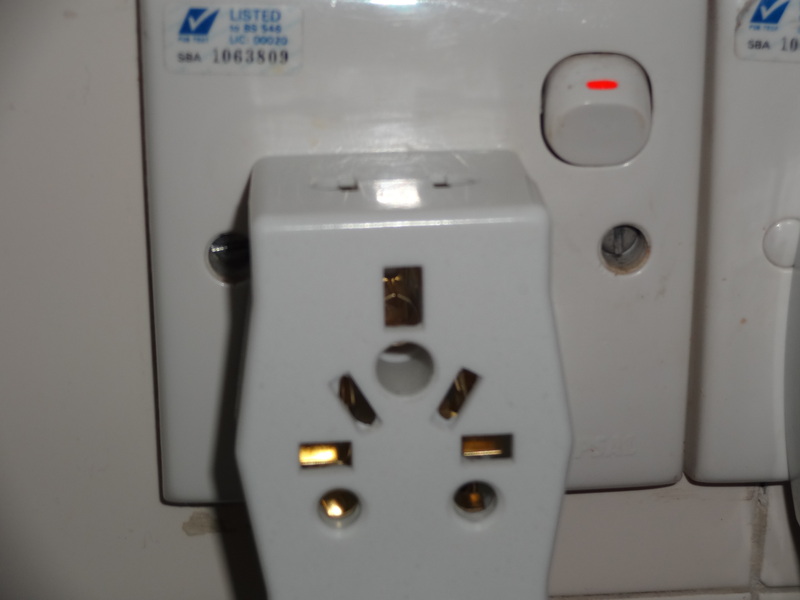 Here in Nepal we have our own, very original, socket design. No, that’s not a British pin configuration….the holes are round. 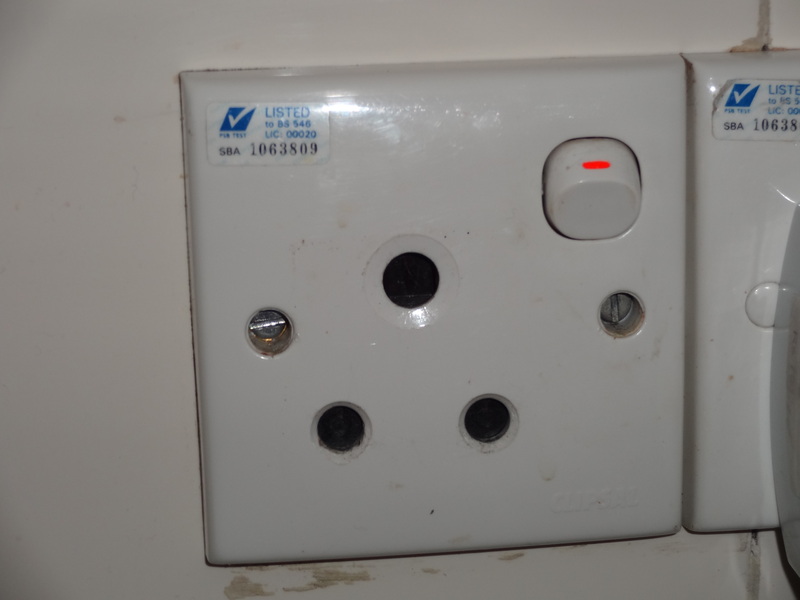 To add to this… the Nepali sockets come in two sizes: small and large. I guarantee that no plug adapter that you own comes with a round three-pin choice. I know ours doesn’t. No problem. You can buy them on the local market. 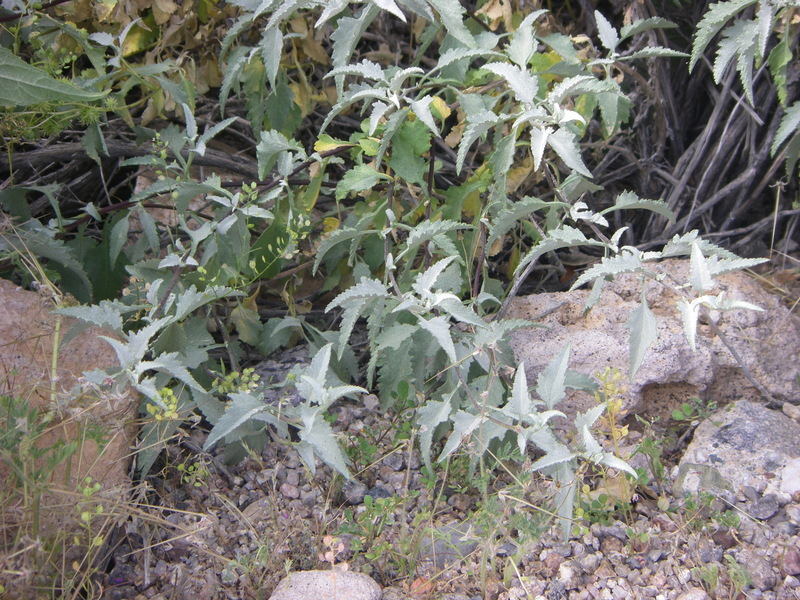 Large version of same. They look pretty similar, don’t they? 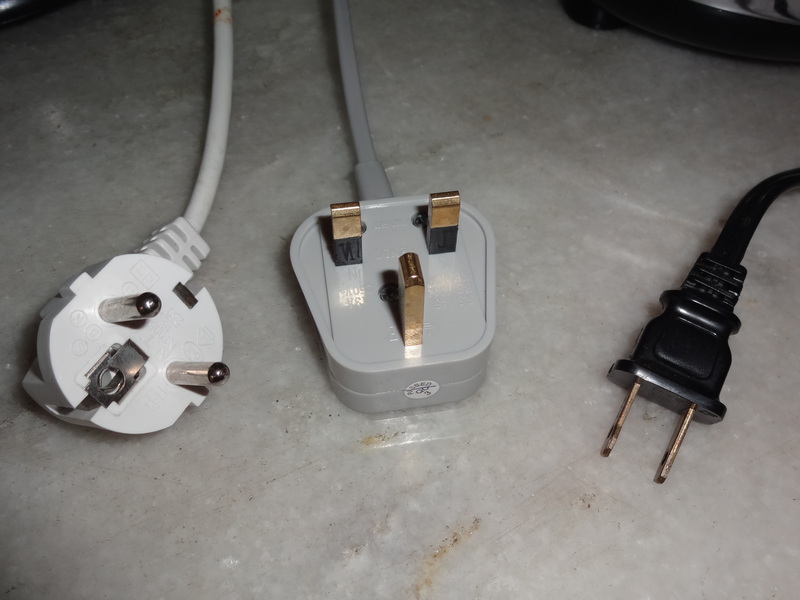 That’s a Greek plug on the left, a British plug in the middle, and an American two prong plug on the right. 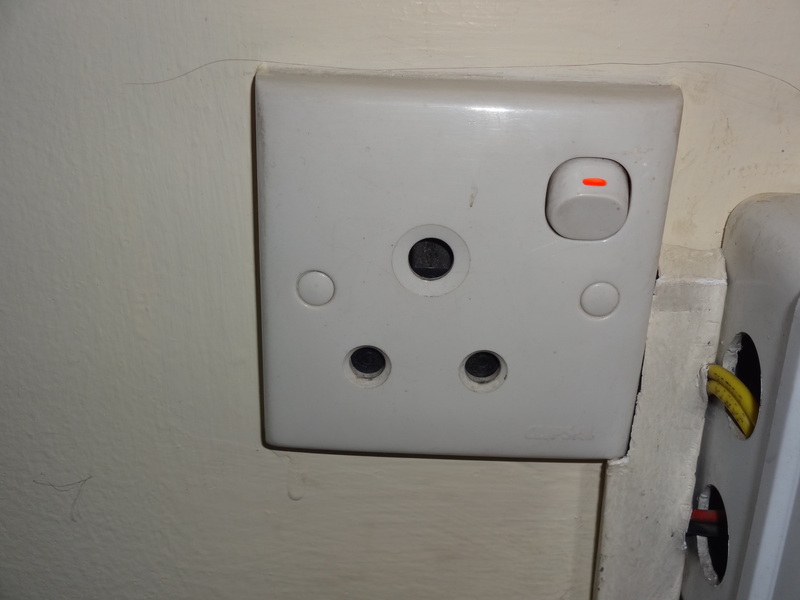 How to get a these square plugs into round holes?! This is the required adapter. 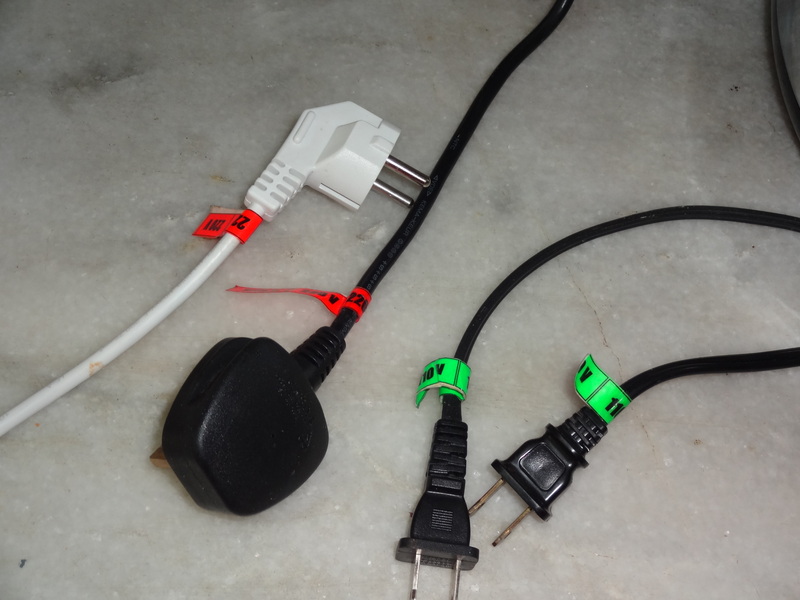 Don’t forget….you need them for both the large size sockets and the small size ones that are randomly dispersed around the house. If you like puzzles you can figure out how the various different style plugs fit in. We have them all! 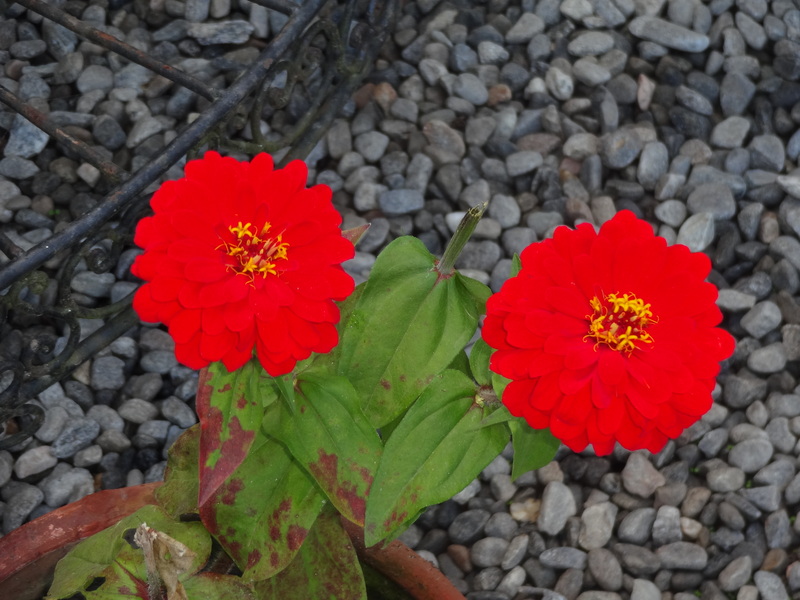 Red is 220v. Green is 110v. All power here is 220v, but the Embassy supplies step down voltage adapters so you can run your US equipment off the local power supply. Just plug it in right! This is what it takes to plug in my laptop in some locations: Converter from 3-pin round Nepali to two-pin American, plus a second converter to three pin. 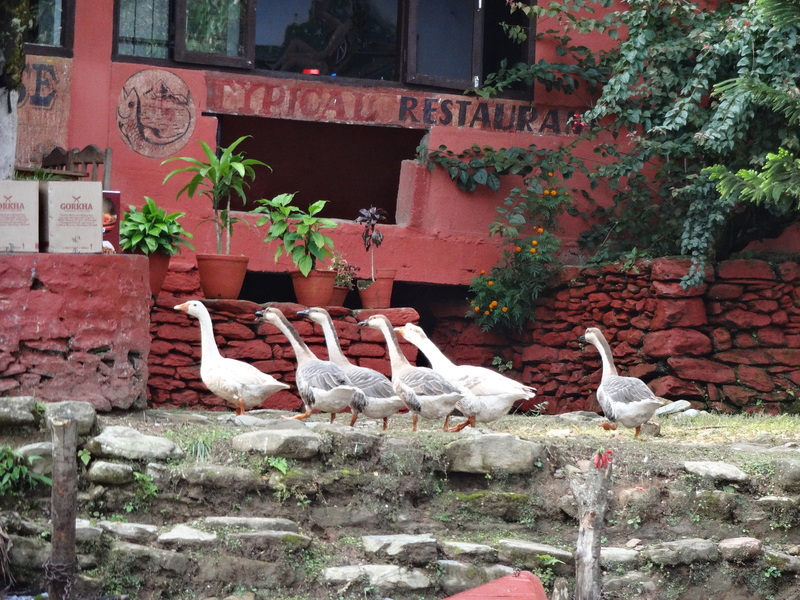 Oh…and make sure you have the right size Nepali converter before you run all the way upstairs again…. Oh and the housing for the Nepali to US 2-pin isn’t very tight. One yank and it sparks or falls out. To date, I have only managed to fry one device: a 110v Cuisinart mini-blender with no green tag that met its demise in a 220v socket only days after Amazon delivered it. (Gotta have the tag!) But I was recently talking about kitchen appliances with FS friends where we were agreed that buying cheap appliances is a waste of money. They don’t work well and break in five minutes. But when you invest hundreds of dollars in a quality blender that will last forever, you need to remember that “forever” may come sooner than you think if someone (most vulnerably household help) absentmindedly plugs the darn thing in the wrong hole. 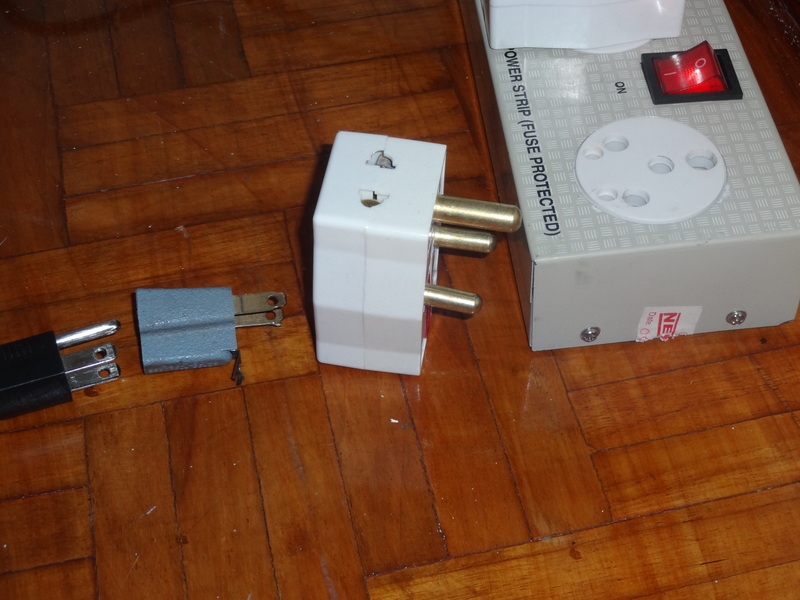 Of course, the odds go down here in Nepal because someone has already taken the friggin’ adapter anyway! Sometimes I think that if you blindfolded me and put me in a Star Trek transporter to an unknown natural destination, deprived of giveaway clues like language, I could still tell which country I was in my the smells and sights of nature around me. Certain smells like mandarin oranges remind me of childhood Christmases, smells can be so evocative or time and space and memory. For me the smell of newly cut grass, marigolds, annual flowerbeds and roses are the England I knew when I was growing up. Here is Nepal all of these are everywhere, looking very English and completely foreign all at the same time as they mix in with some very Nepali surroundings. 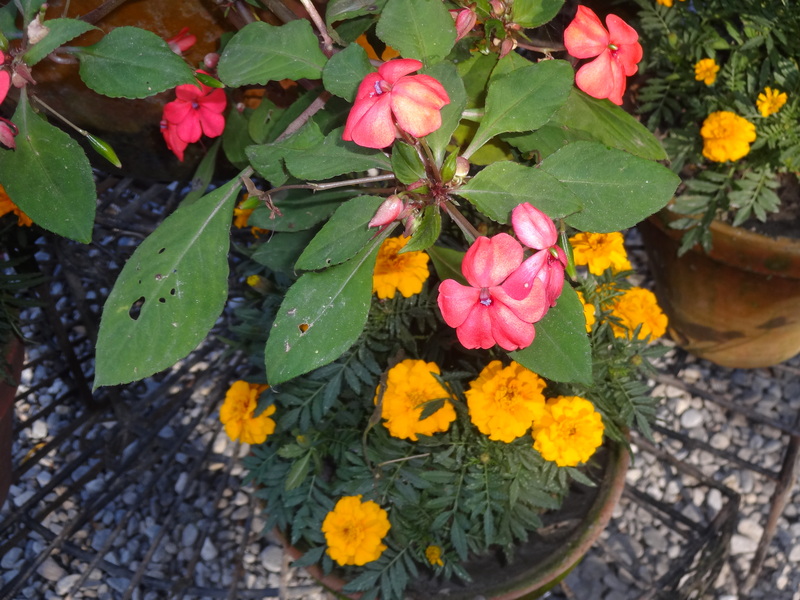 Busy lizzies and marigolds…to name a few..
…and most strikingly, there’s bougainvillea everywhere. 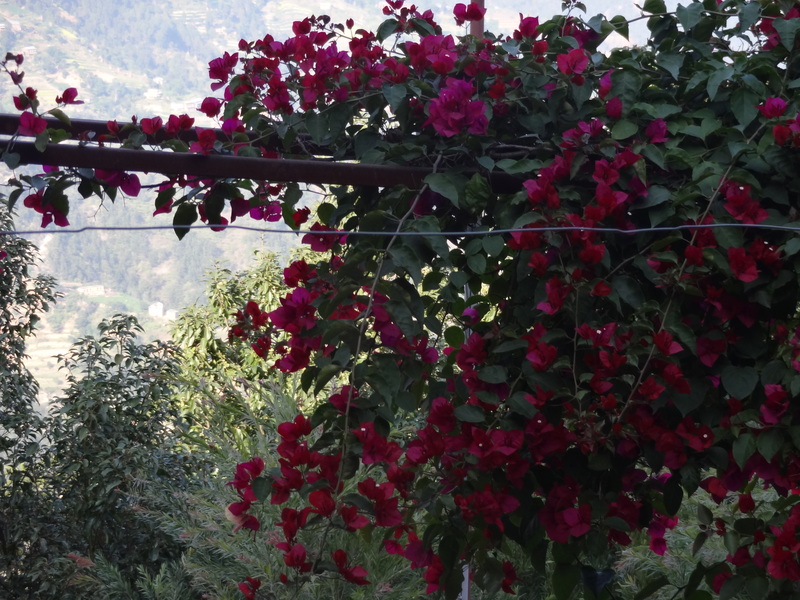 Sometime growing colorfully up a pergola – just like in Greece – except that in the background you can see snowy mountain peaks. Bougainvillea and snow in the same frame is hard to believe. 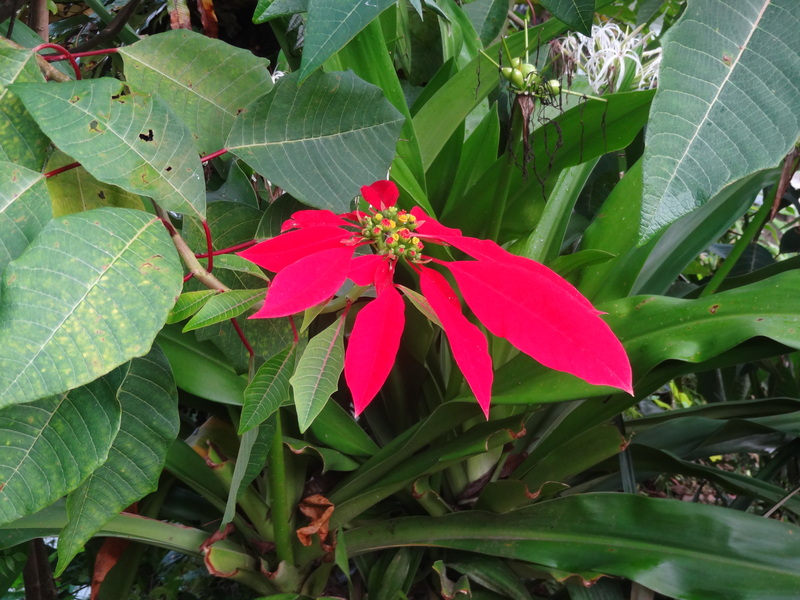 And finally, just for good measure, a little North American Fall and Christmas…. Is there anything that DOESN’T grow here ?!! 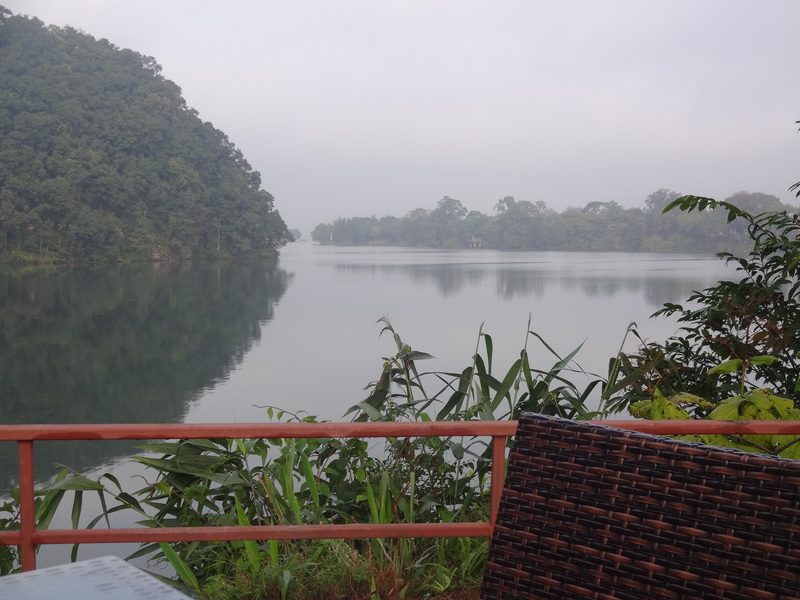 I thought our stay at Fishtail Lodge was worth writing about because it seemed unusual in a world of hotels that largely don’t care so much, filled with employees who are just doing their job, Fishtail was different in that it actually seemed to respect itself. When you enter the reception there’s a big board on the left showing dozens of famous dignitaries, royalties and international stars that have stayed there. Its quite a dazzling display. Although I didn’t recognize many of the Indian dignitaries, many I did know: George Harrison, Prince Charles, Jimmy Carter…to name but a few. Nowadays it may not be their first choice. There are other newer, probably fancier resorts, but for somewhere more than fifty years old, it was in pretty good condition. 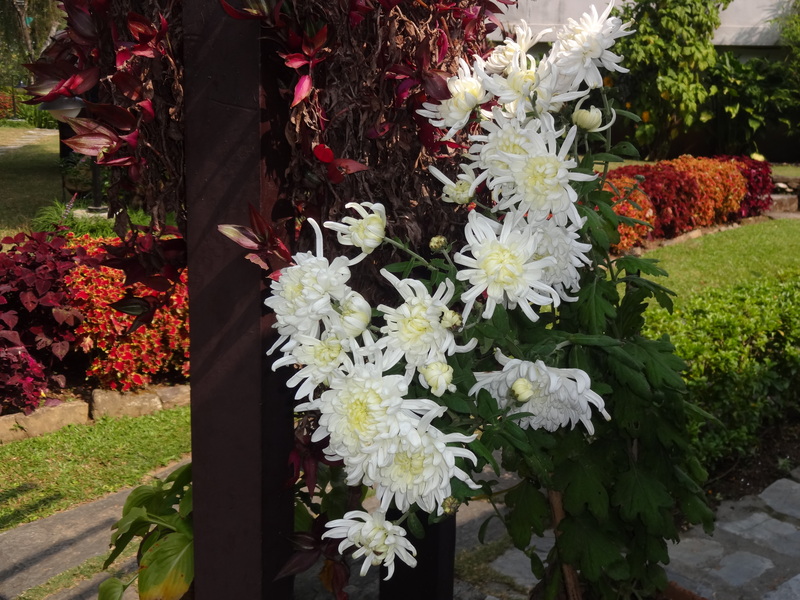 The landscaping and flowers are beautifully cared for, and the hotel buildings are well maintained. 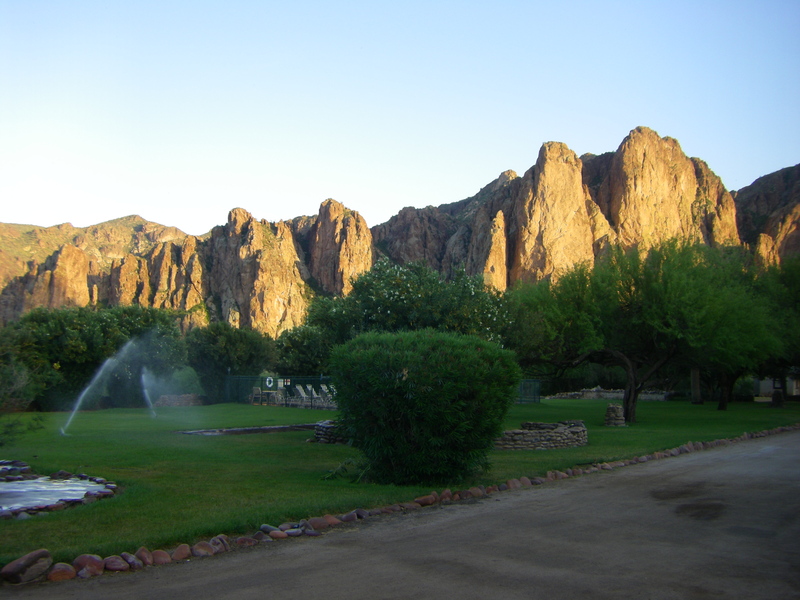 The rooms weren’t fancy and had their problems – our shower head was busted and the phone wiring was iffy – but room maintenance came to fix it and because everything else in the room was ok we forgave them. I think largely why I liked was because it delivered what I wanted, a comfortable space, a great view, somewhere to read and privacy. 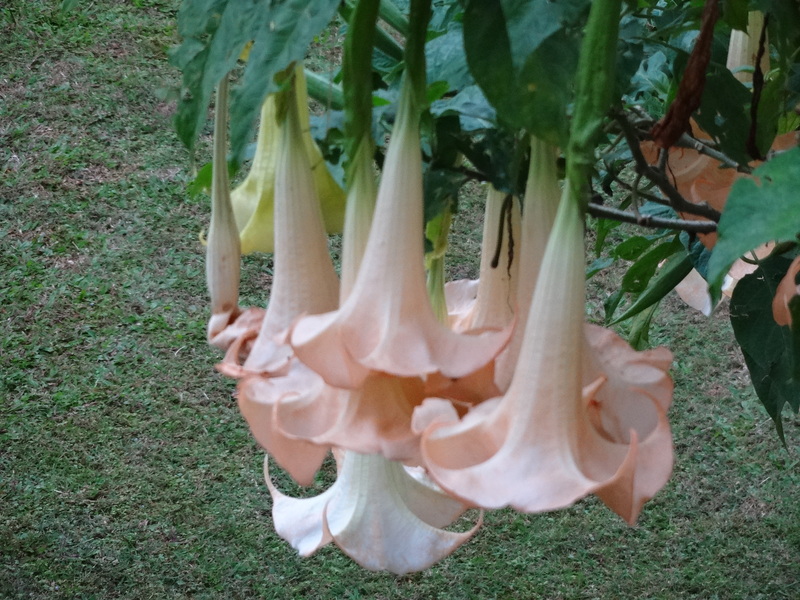 And it was the last advantage -privacy – that really helped justify the price. 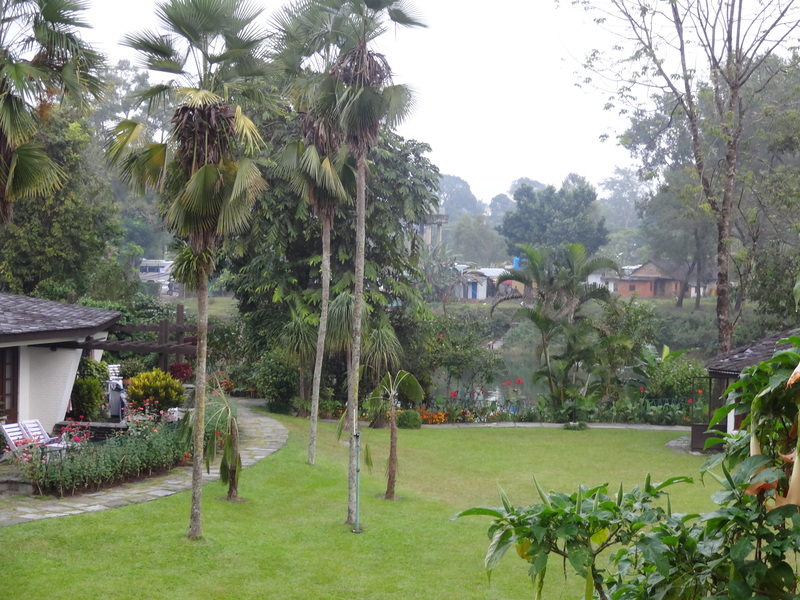 There are plenty of places to stay in Pokhara that are a lot cheaper. And there are other fancier places that cost the same or more. But I liked that the place had a staff culture and a sense of self, it made me feel comfortable. The room design was interesting. Large circular buildings were cut into twelve slices of “pie”, each slice being a room, with the slender tip of the wedge being the bathroom in each unit. Air conditioning and plumbing etc. were centralized in the center of the pie, which is a practical way to take care of maintenance. 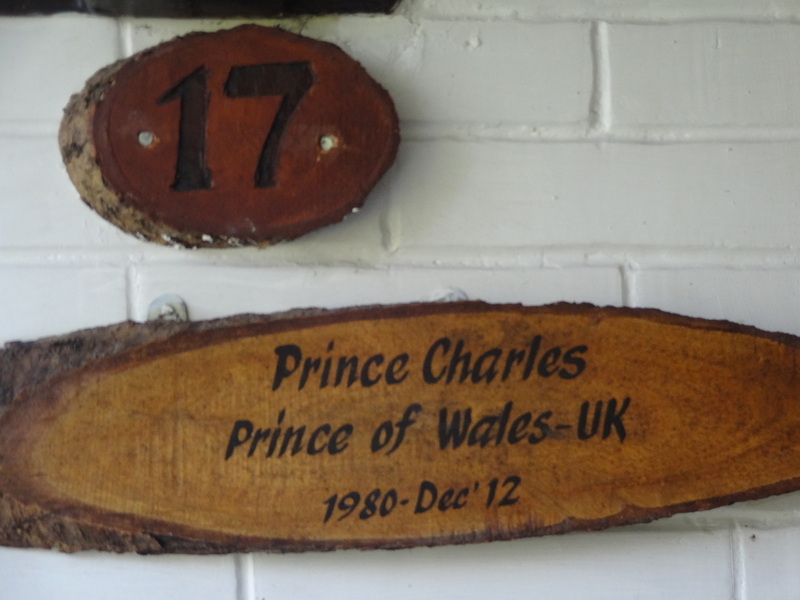 We ended up in room 17, one of their heritage rooms, that had prime views over the lake and mountains (if you are lucky enough to be there at the right time, of course.) 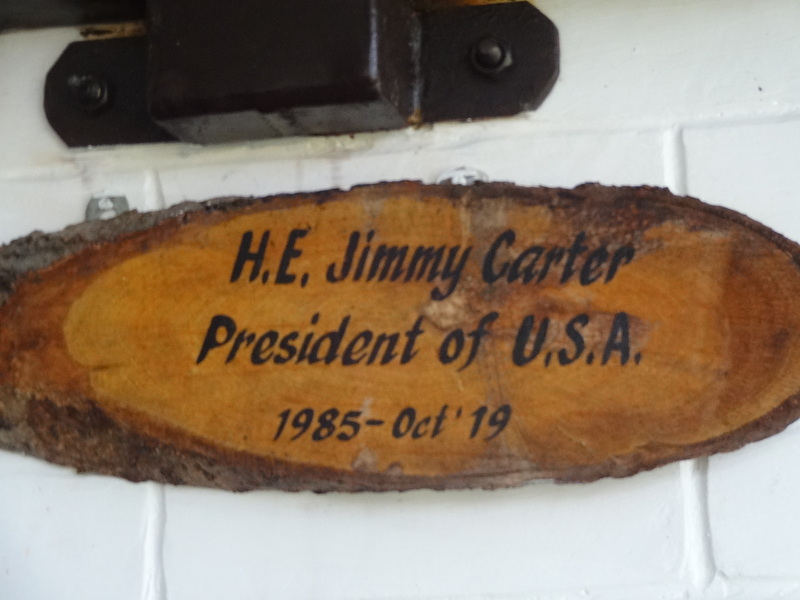 We were also in good company and the plaques outside told us that Prince Charles and Jimmy Carter had both stayed in our very same room — but not at the same time, of course…..( that would just be weird! )I don’t think it was really the same bed 30 years down the road, but it was a first for me none the less! 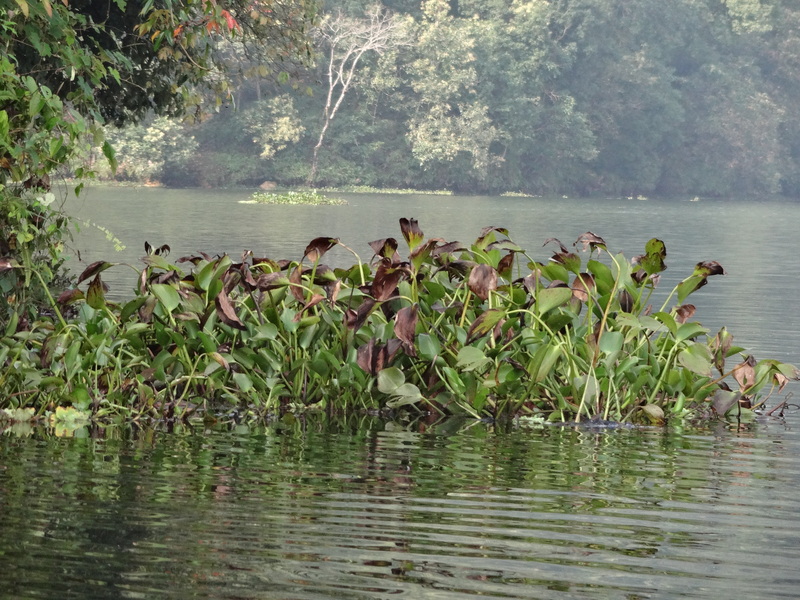 Lastly one of its unique features was how the resort was set on opposite side of the lake, very much “on it” in a beautiful, natural setting. 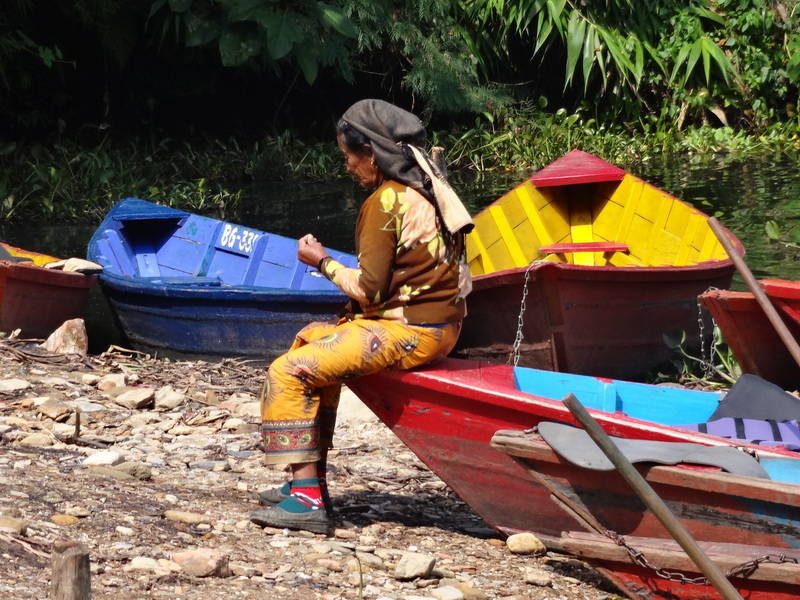 Yet it was only a short peaceful ride over on a small floating pontoon to the town on the opposite bank. It gave the Fishtail the advantage of quiet and privacy, but with easy access to the town’s shopping and restaurants. A nice touch. We spent four days which was just about right. I liked Fishtail very much. I was warned before I arrived here. Seeing the mountains in Kathmandu isn’t a daily occurrence. The monsoons, mist, fog and pollution all play their part in keeping the giants hidden from us valley dwellers. 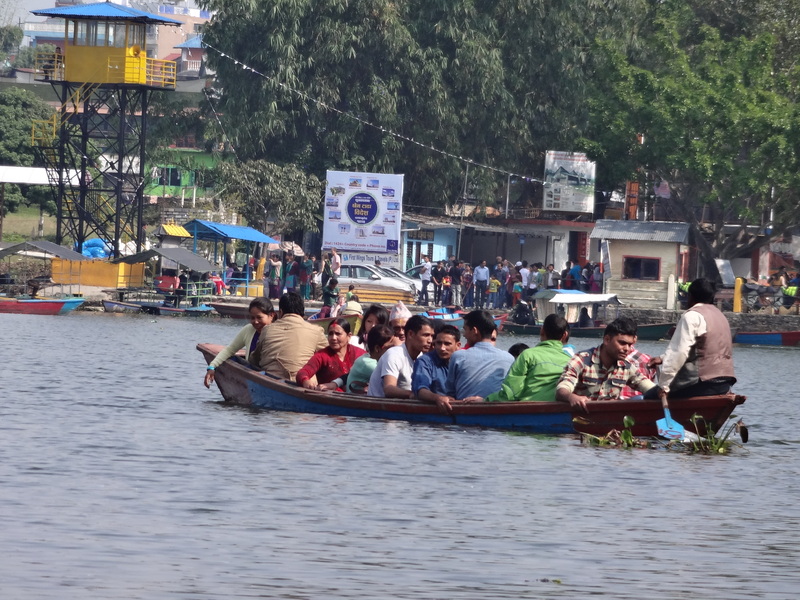 But I was also told that the early part of Winter (now), after the monsoons, is the best viewing season– before the pollution levels rise with the increased emissions that the cold weather brings. That was the rhetoric. The reality has been quite a bit different: Nothing. Nada. Zip. Not a snowy peak. Not even a suggestion of one. 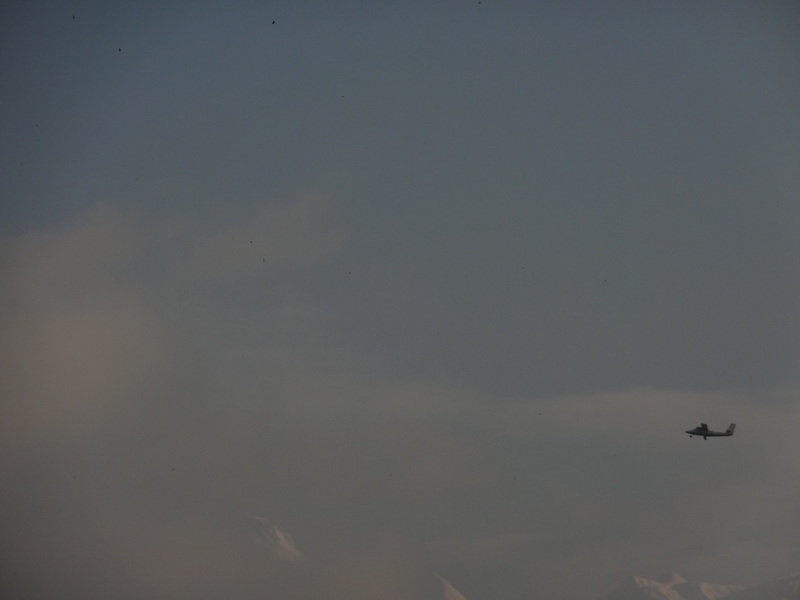 Certainly nothing like a majestic Himalayan view to frame the backdrop to my day. I was starting to joke that the whole Himalayan experience was an elaborate hoax. How could something be so big and yet so elusive? 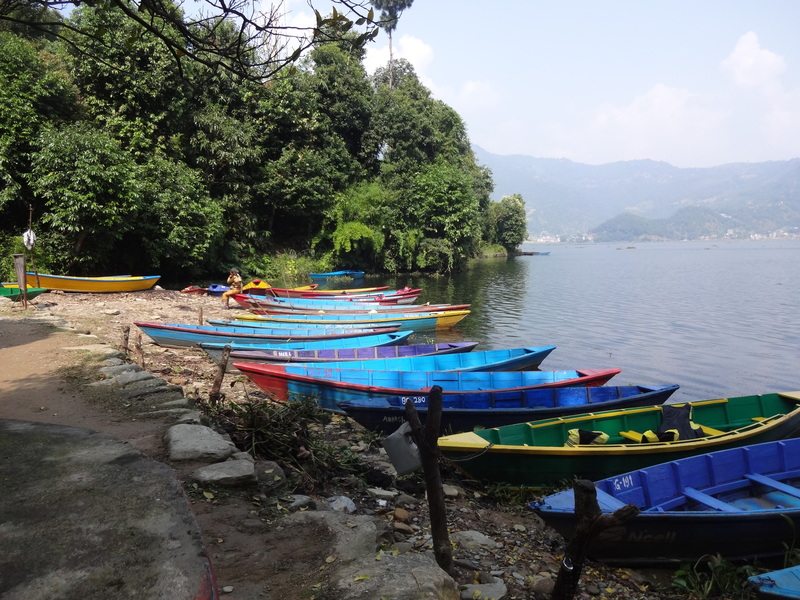 Even our journey to Pokhara was unable to deliver on the promise, even though it is the is the gateway to the Annapurnas and the Pokhara guidebooks are full of tantalizing photographs of crisp blues skies and rugged perfect peaks just sitting as an indisputable, omnipresent backdrop to the town. 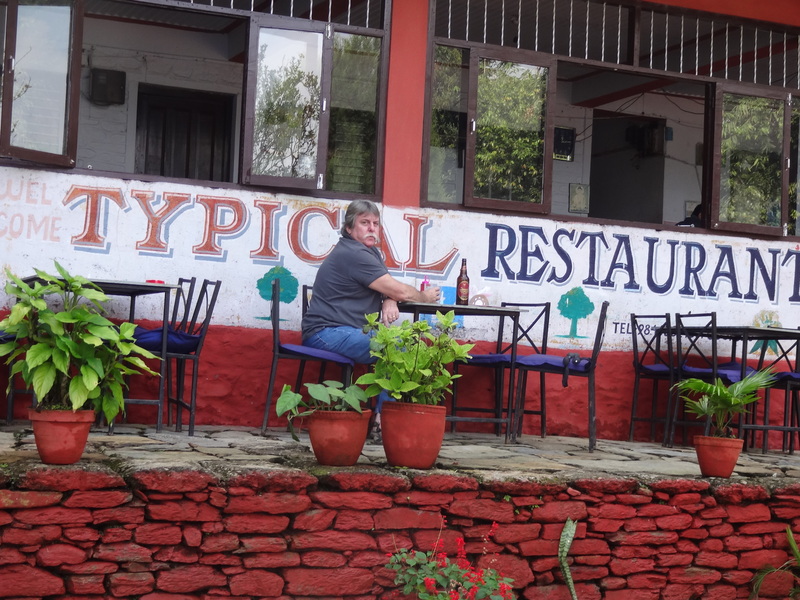 For us, the Annapurnas remained stubbornly absent during our entire stay. We would never have seen one glimpse if we hadn’t made the decision to take an early morning side trip to Sarangkot. 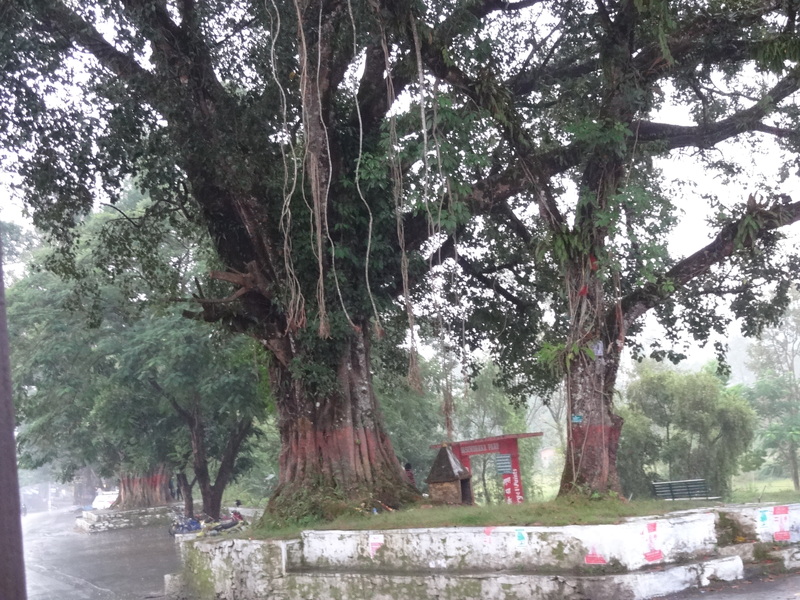 Sarangkot is a popular viewing destination as it is an a higher elevation than Pokhara. 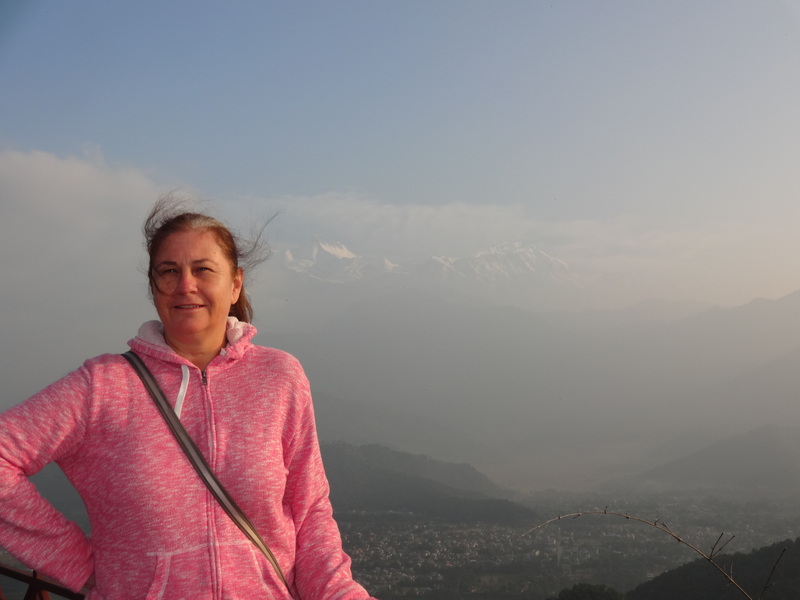 Above the bowl of the town and lake, the odds improve that you can grab a view of Machapuchare (or Fishtail) and the row of Annapurna mountains that are unimaginatively named Annapurna 1, Annapurna 2….3 and 4. 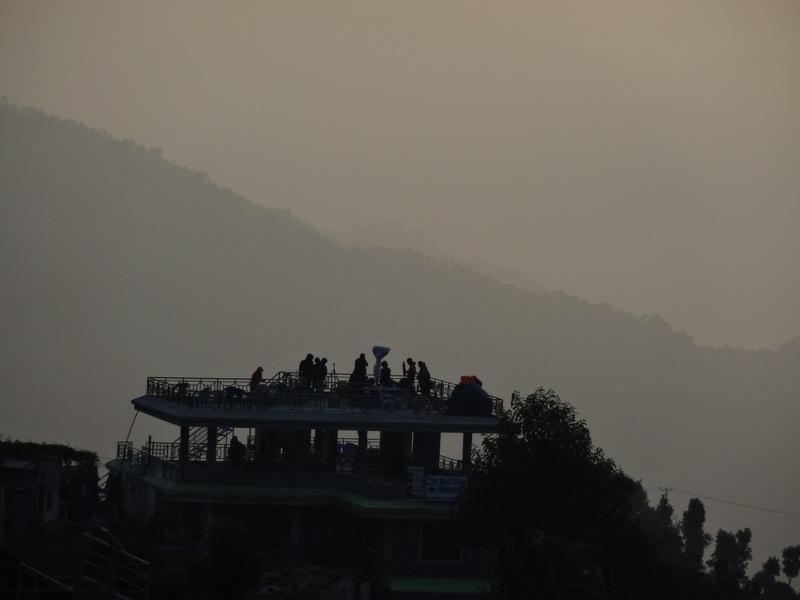 Everyone wants to take you up to Sarangkot at dawn to see the sun rise over the mountains, and the early morning offers the best odds of a clear view. Dawn required something like a 5.15am departure and Robert didn’t want to do it. He also didn’t want to do it with a crowd of bus tours, so we decided that we didn’t need to see the sunrise but would go just a bit later in hopes the crowds had left. We arrived just as the last of the bus tours departed. Their giant buses were parked along the roadside and our taxi had to squeeze past them as we drove up; the narrow mountain roads certainly weren’t made for tourist buses. We walked up the dirt track to a viewing platform and climbed the stairs to the flat, empty rooftop. It was covered with plastic chairs and we were the only ones there. I sat and drank hot ginger tea and looked out at the mist. No mountains, only mist. It didn’t look very promising. 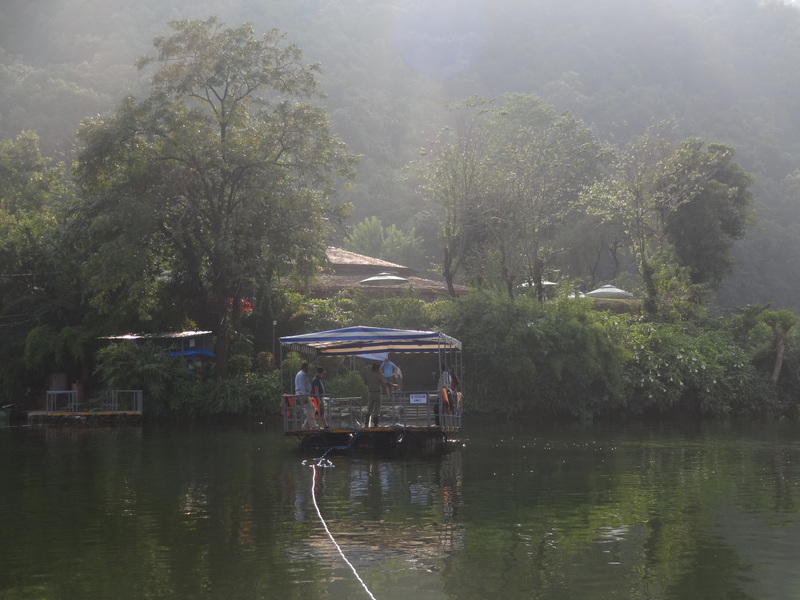 The waiter told us that there had be no visible mountain sunrise that morning and everyone had gone home empty-handed. And then it happened….very slowly. The barest outline of a corner, of a peak, started to appear. Then a little more, and a little more, until a whole peak was revealed. Very, very slowly over the next 30 minutes, like a giant curtain being pulled back, the range came into view. 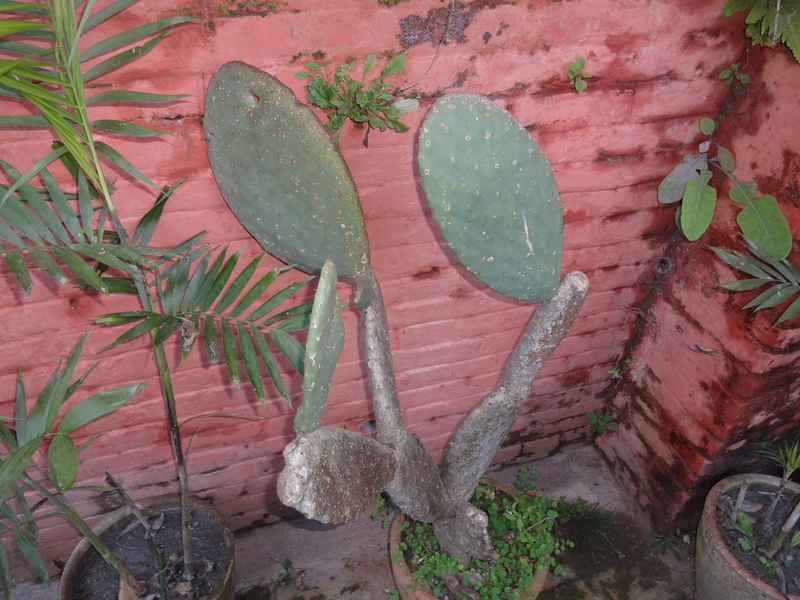 There they were…not a hoax after all! 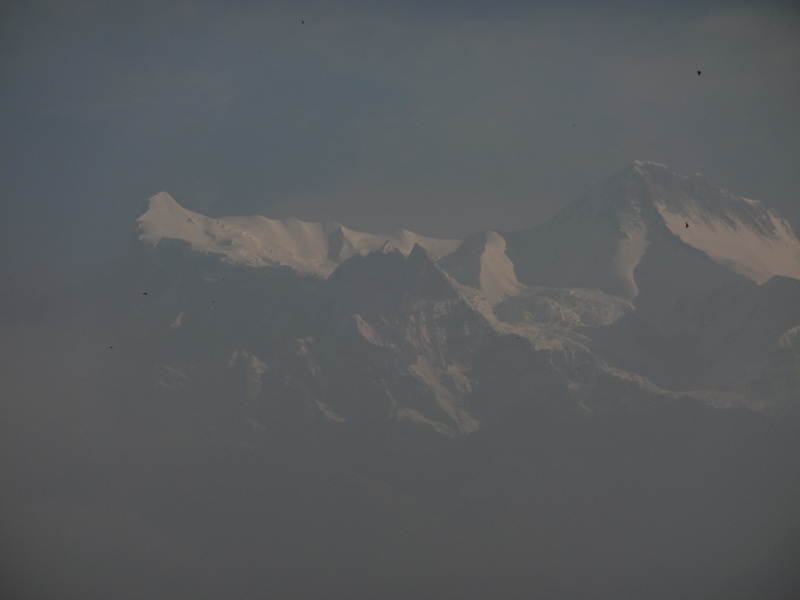 Not the best picture ever taken of the Annapurnas…but one patiently waited for. I hope to have a clearer view one day. But, for now, I take this one! 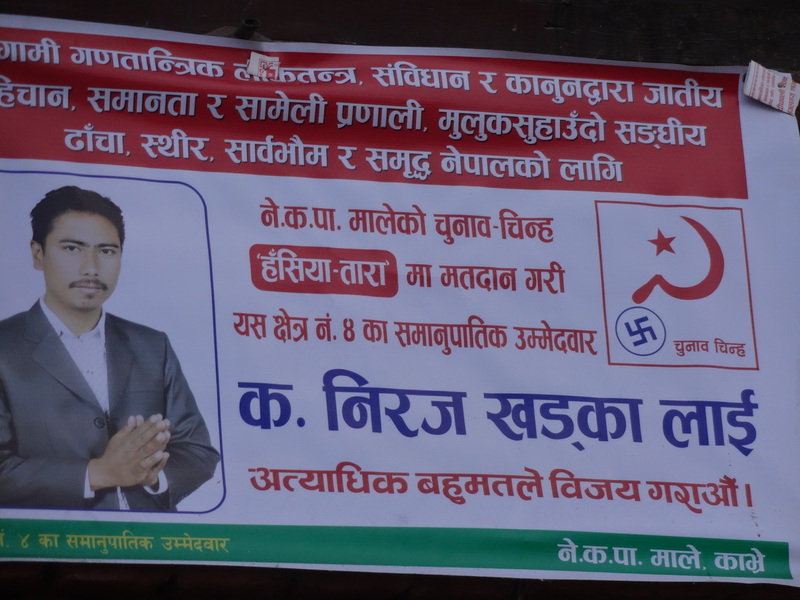 For the last month or two, Kathmandu has been strewn from one end to the other with election posters from the ranks of its 100+ parties running for election on November 19. Usually, I steer away from political topics on this blog, but its hard to ignore politics these days. The posters are particularly poignant for me. As someone who can remember the Eastern bloc, the days of Soviet Communism, and Mao as leader in China, its a very weird “blast from the past” to see the hammer and sickle plastered around the city. 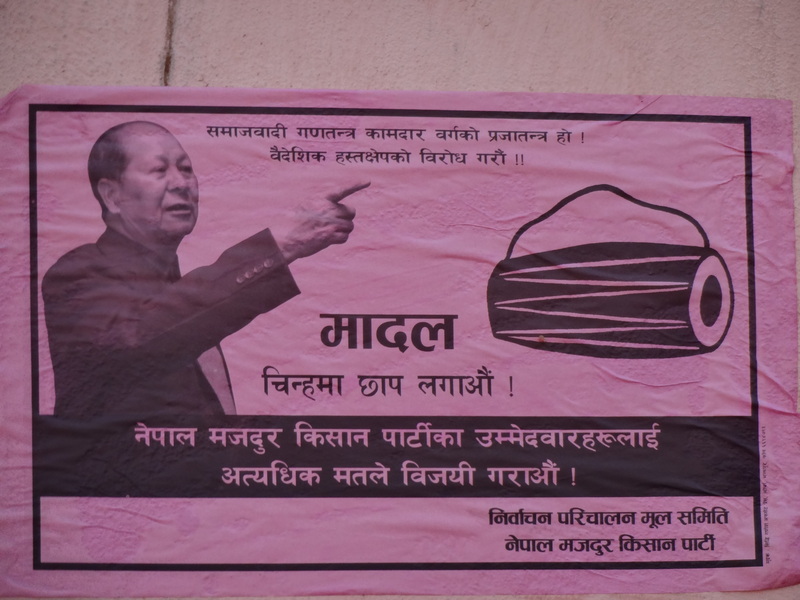 Yet in Kathmandu, the Maoists are a force to be reckoned with here. A 33-party alliance of Maoists have tried to hold the city to ransom for the last 10 days with a transportation strike to disrupt the elections, and it has been a nuisance at best for those of trying to get things done. The strike was only partially effective for the first day, after which it was downgraded to a night-time transportation strike so no-one could safely drive around at night. This morning, the day before the election, ironically the streets were quieter than during the strike because most citizens have left to return to their home place to vote. Effective or not, the strikes have created some real violence in places, and it is probably not over yet. Tomorrow is the actual election day and, again, the streets will eerily be bus, car, bicycle and motorbike free. Except this time it is a government-mandated transportation ban designed to avoid illegal busing of voters in a fledgling democracy. Tomorrow we are walking to work. The upside is the city is silent, the skies are clearing and the Kathmandu’s beautiful mountains are visible again in the distance. This is my favourite poster based on the design. 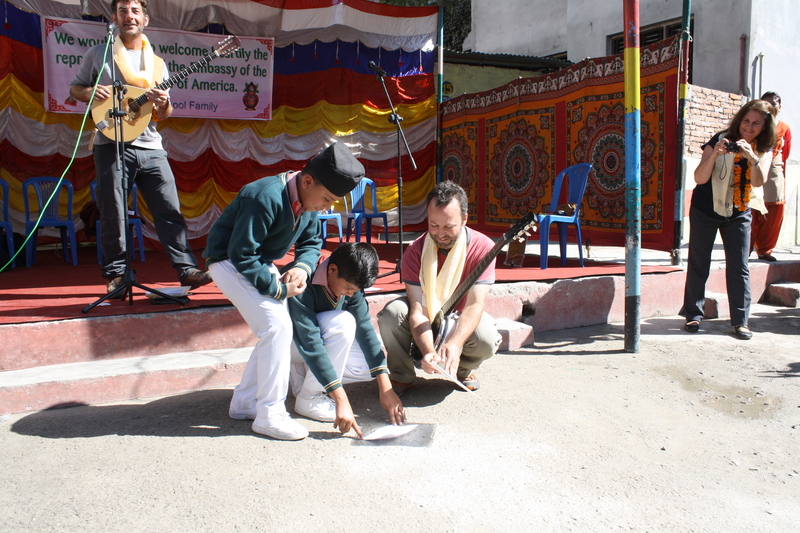 (I can’t read Nepali – yet.) Driving past I swore it was Mao himself because of the pose. Someone needs to explain to me the significance of the traditional drum. Tomorrow is going to be a big day for Nepal. 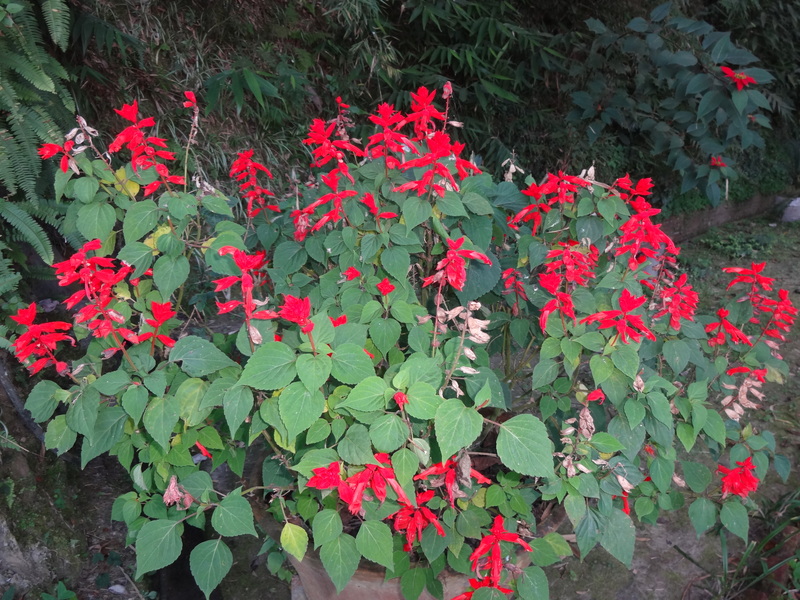 The third day is the most important one in Tihar. 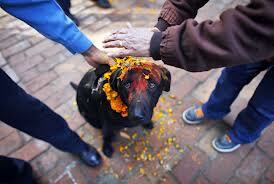 In the morning, cows are also given tikas and garlands, and doused with yellow and red powder. People touch the cow’s body with their heads, bow down to its feet, and even crawl between its legs on all fours, for the purpose of humbly asking for assistance and guidance for their souls when they leave this world. On the evening of this day, after the homes have been well scrubbed and cleansed with red mud and cow dung, each one is embellished with tiny oil lamps, and candles. From this comes the meaning of the pretty light festival, which also happened to be the second day of our arrival in Pokhara. That evening we watched shopkeepers lay down a line of tiny lights around their stores and a pathway was painted on the ground leading inside. 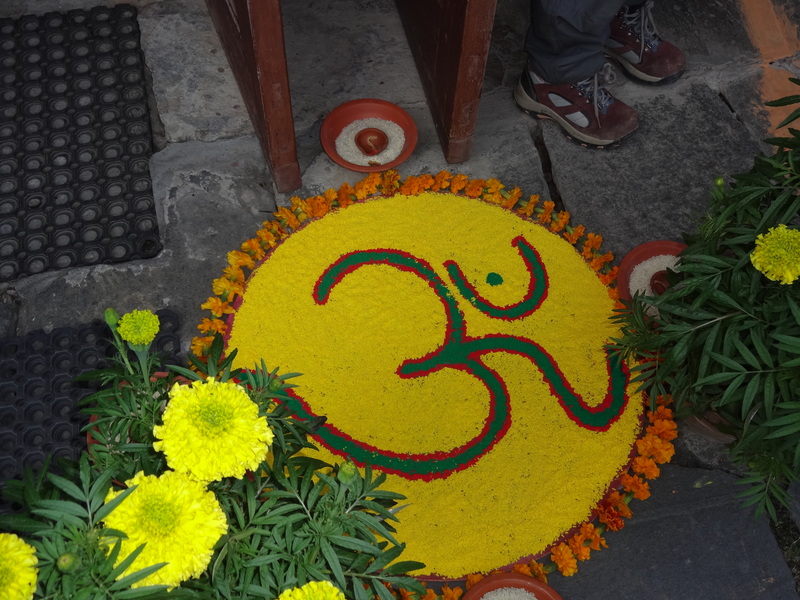 I later learned that the pathways marked by the lamps and the footprints (or painted pathways) made from rice flour paste are to show the goddess Laksmi the way to the family’s treasured possessions. 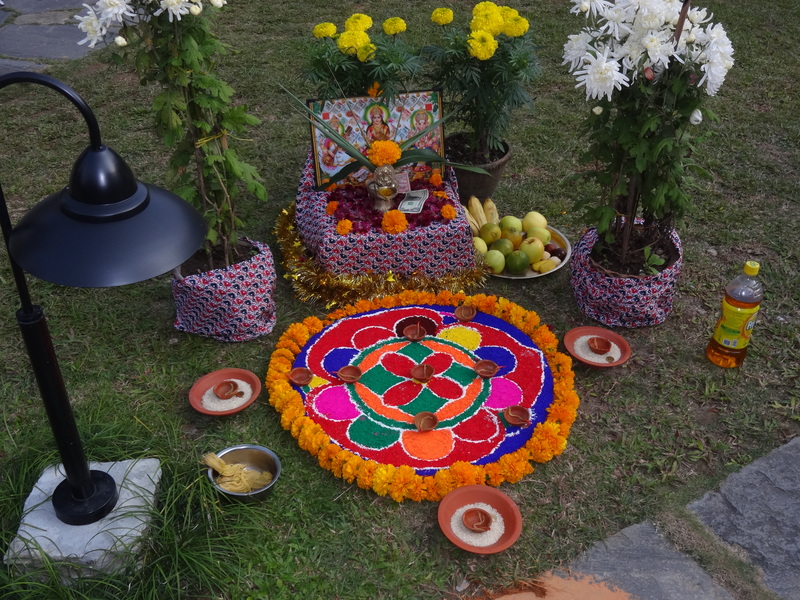 The fifth and final day is Bhai Tika, when sisters worship their brothers by making holy circles of water and oil around them and by feeding them specially prepared foods, and sweets. The brothers in return give their sisters presents. If a boy has no sister, then a close female relative may perform the ceremony. I also witnessed another tradition that no-one has explained to me yet, and perhaps it was only local to Pokhara: street dancing. 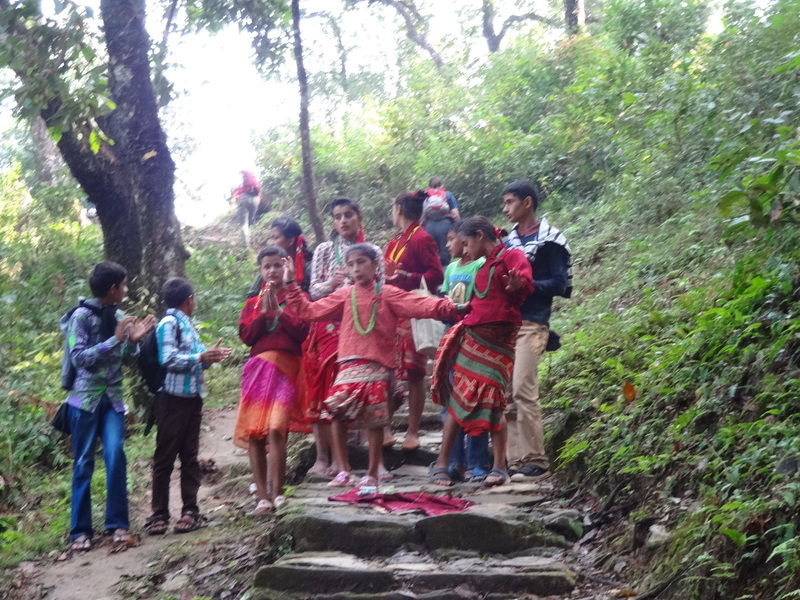 We went for a hike in the morning on the first day and saw groups of singing and dancing kids along the hiking trail up to the peace pagoda. The next morning a few dancers performed outside the stores in front of the Lakeside stores. On the second day, it became clear that this is what everyone was doing, and it was quite a sophisticated affair. All down the main tourist shopping area of Lakeside, and in the main town away from the tourists, small dancing troupes were singing to shopkeepers. 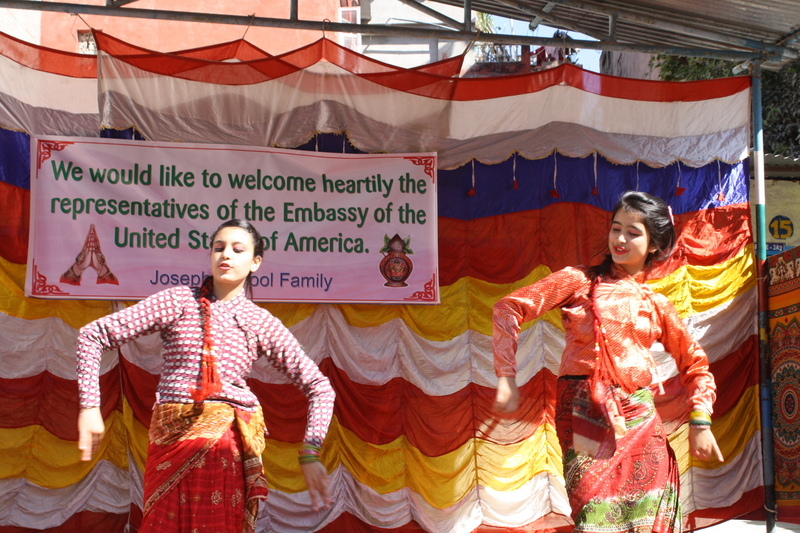 We saw traditional dancing groups, modern Bollywood productions and even the Gang-um Style horse dance. That evening, they kicked it further up a notch. In the darkness they had brought more candles and electric light displays, speakers, microphones and full-scale productions. The audiences were always passersby, gathered in a circle around the act in front of each store. You could spot them from a distance away. These performances were not one dance wonders, but well-rehearsed, multiple acts with musicians. After dinner from our hotel on the other side of the lake, the town was lit up with lights, music and dancing that went on until well past my bed time. 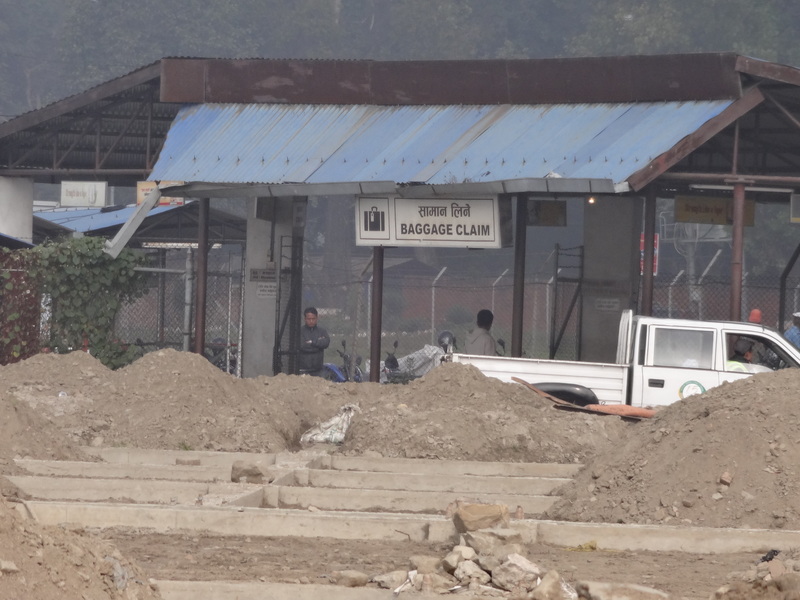 Rather unbelievably, this is the domestic terminal in Kathmandu. I don’t know what I expected before we pulled up for the first time. I certainly wasn’t anticipating a small, clean modern place, but nor was I expecting this. 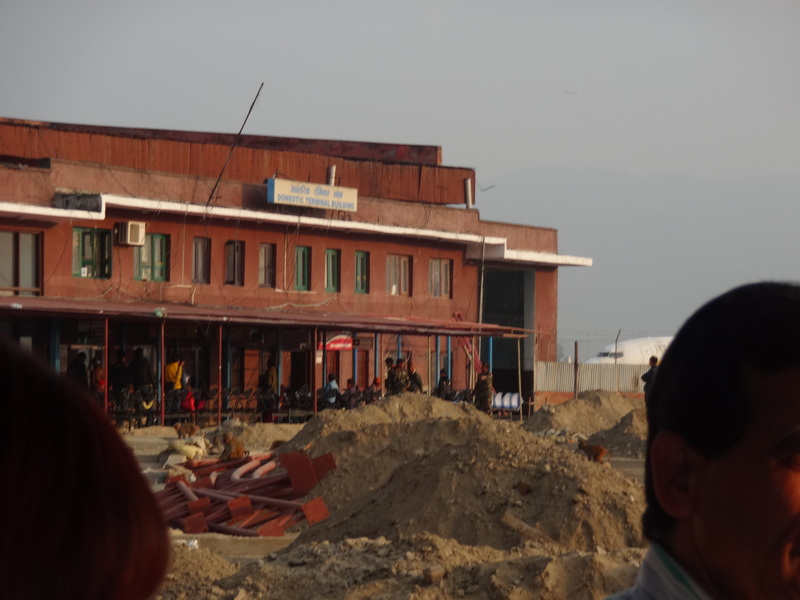 When we arrived in Tribhuvan International Airport back in late August. I pretty much got what I expected. 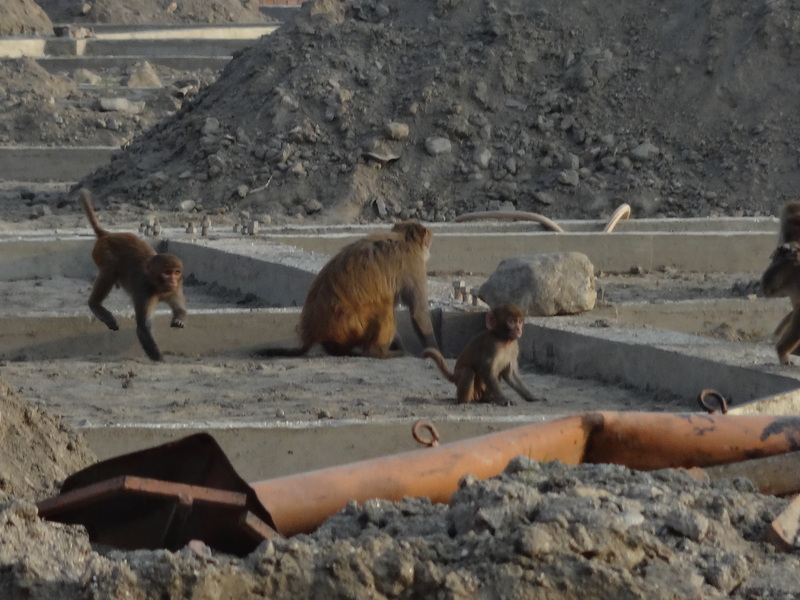 It was small, old and rough around the edges, but not a surprise in one of the world’s poorest countries. The domestic terminal was a different story. 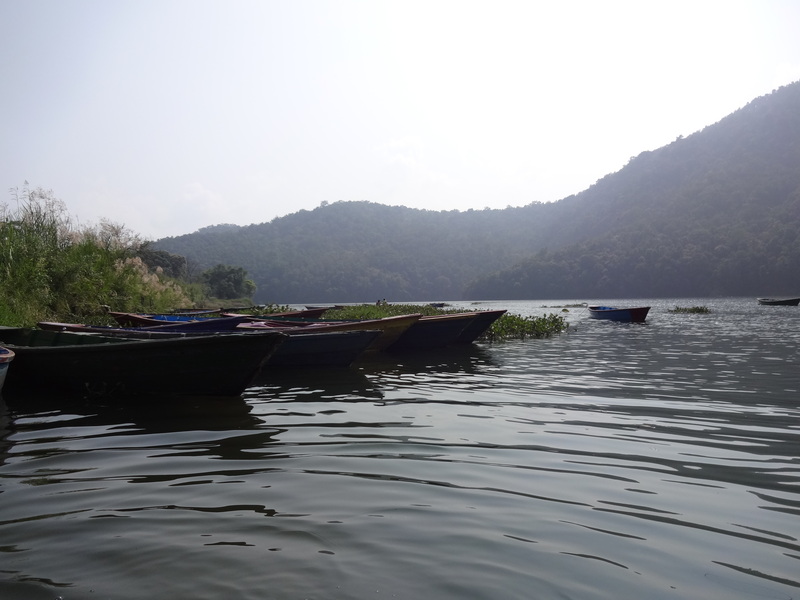 It was hard to believe that every trekker’s flight out of the city starts here. 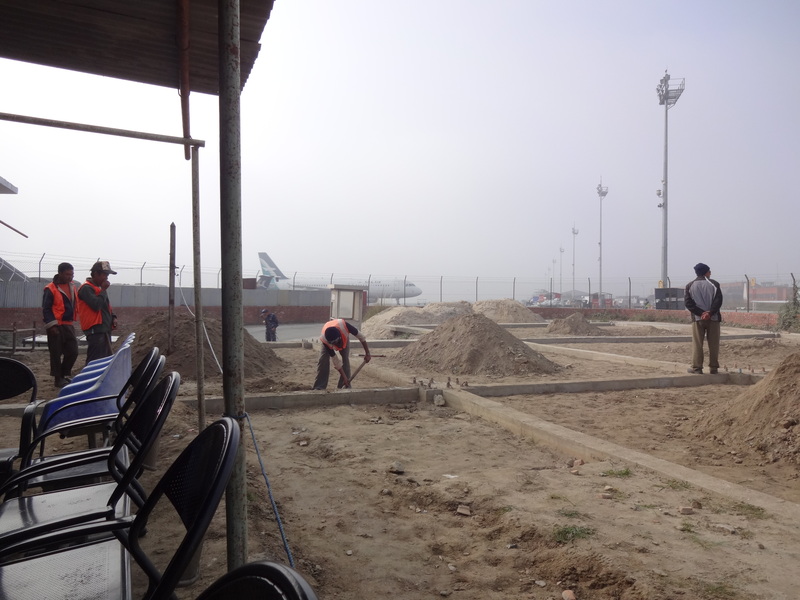 My first impression was certainly made worse by the construction for what I am guessing is a parking area in front of the terminal. Word is there are plans to build a new terminal at some point in the near future, but who knows when…in the mean time this is the gateway to the mountains. All of the poured cement rectangles (for the new car park?) were being dug out and leveled by hand using a spade and wheelbarrow. Passengers took shortcuts past the mounds of dirt. We arrived on the first cool, crispy morning of the year. My light jacket wasn’t doing enough, my sock-less feet were starting to feel the cold, and I could see my breath for the first time in three years. 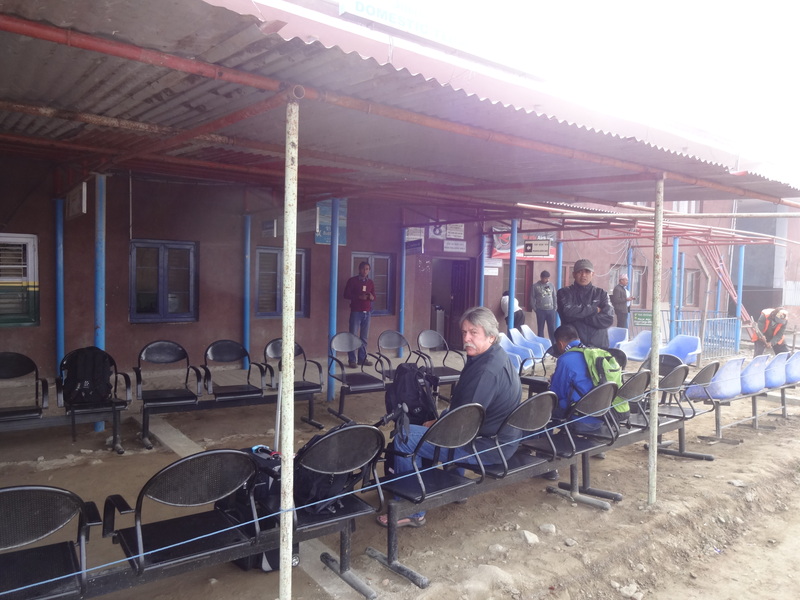 We negotiated our way into the terminal past the many obstacles and security blocks only to find that our destination, Pokhara , was currently closed due to bad weather and our flight was delayed at best. The terminal was crowded confusion and, with no working monitors, it made more sense to stay outside and wait where there was at least some seating available. To cut a long story short, we waited over six hours in there. One hour outside, and five hours on the other side of security in a large room that felt like an old bus station. As rough as it was, it was also a marvel to see just how many flights they handled with just two gates and a handful of buses. It was relatively organized, and we were handled with courtesy by the airline staff. No one appeared to be misbehaving or having a meltdown because they had the wrong seat number. Finally, to everyone’s credit, Pokhara airport opened, they caught up with the backlog of flights and we took off for a four day break in the mountains. Hopefully they really will do something about the domestic terminal soon. 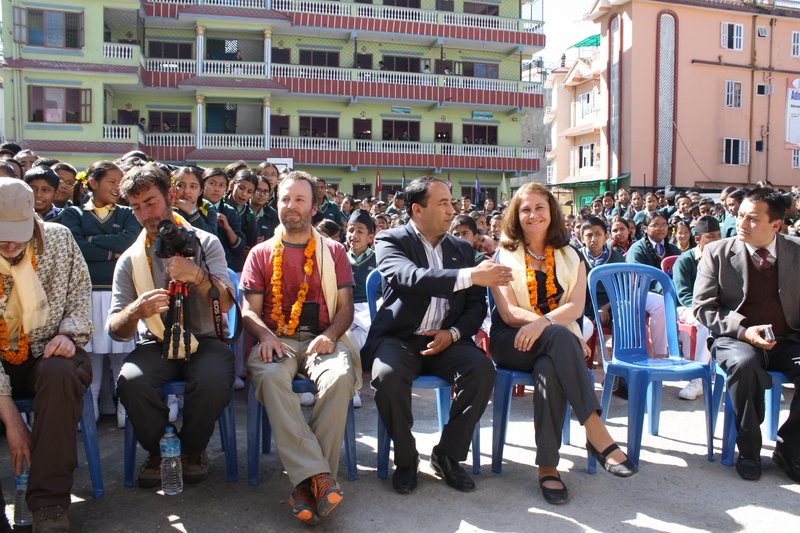 The Nepali tourist industry, the Nepali people and the rest of us deserve better! 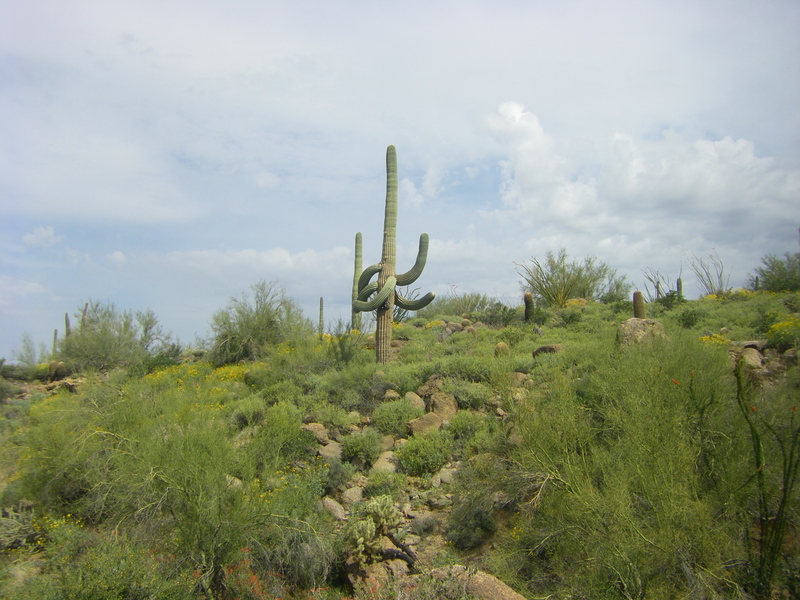 Far away from my usual habit of posting chronologically, I’ve been meaning to add a hiking trip to this blog that I did with friends over three years ago now in April 2010. It was after Carla and my big 2009 adventure on the Coast to Coast trail when I first starting blogging. It was the next natural next hiking adventure to add. However, it got buried in the many events of 2010 (including the great new Foreign Service adventure) and it never made it on to electronic paper. 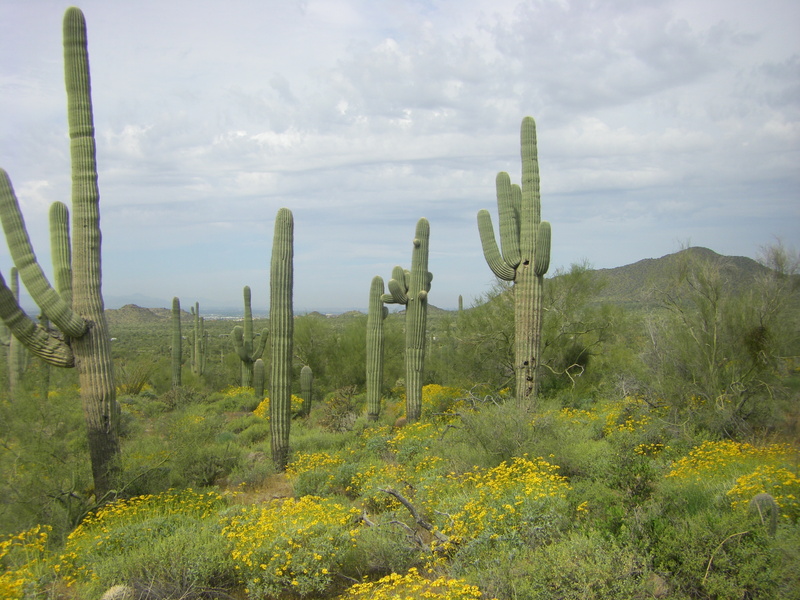 So, to take a giant dusty leap from the chaos of Kathmandu to the heat of Arizona, here’s a small restropective of our day in the Arizona cactus forest. 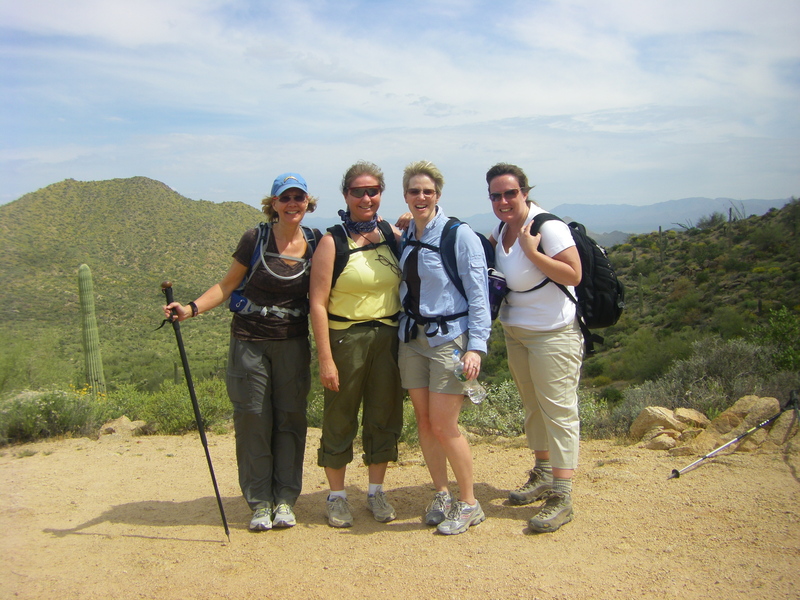 In Phoenix for an annual conference, Carla, Michelle, Gretchen and I preplanned the best route to hike in the area in just one day…all we could manage before the start of the event. Most trails we found were “there and back” trails where you could hike to a destination and then turn around and retrace your steps. We really didn’t want to do this and searched around for a hiking loop that would put us back where we started but not repeat the same scenery. 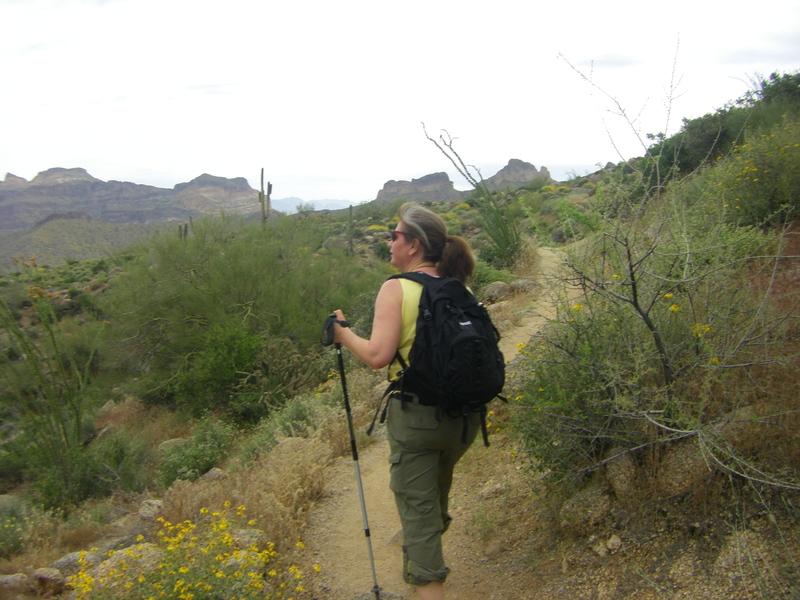 However, “there and back trails” have their place in the desert as we later learned. 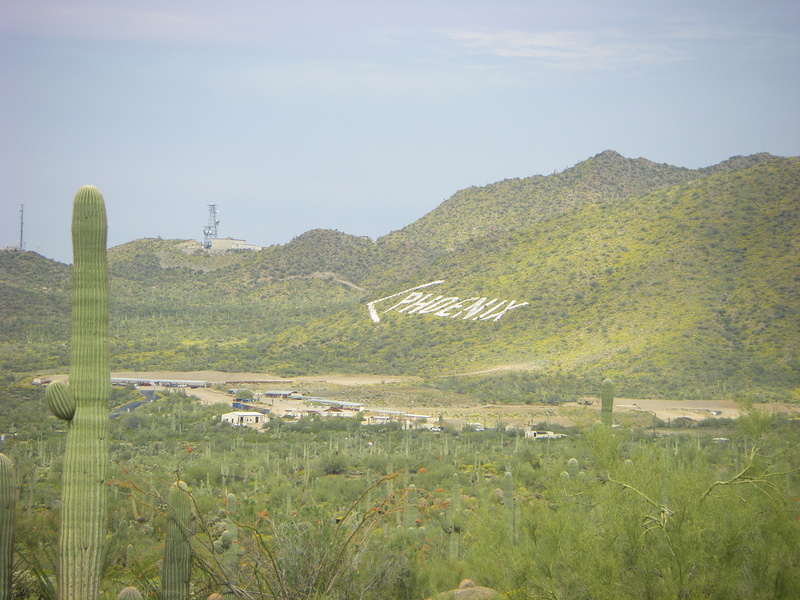 I insisted in staying somewhere “Arizonian” rather than a motel on the highway somewhere, before we switched to our large hotel chain accommodation for the conference. 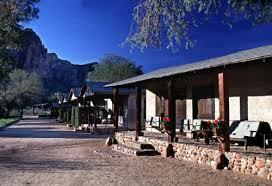 So we spent two night at the Saguaro Lake Ranch, a dude ranch, with great views of the mountains. 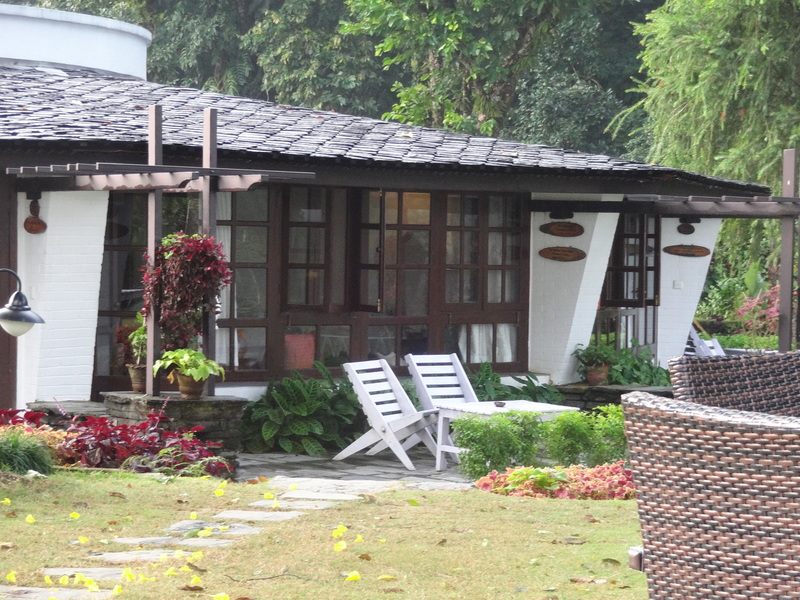 It was clean, basic and friendly and I enjoyed experiencing where we were. I hope that, despite the bugs, everyone else felt the same. 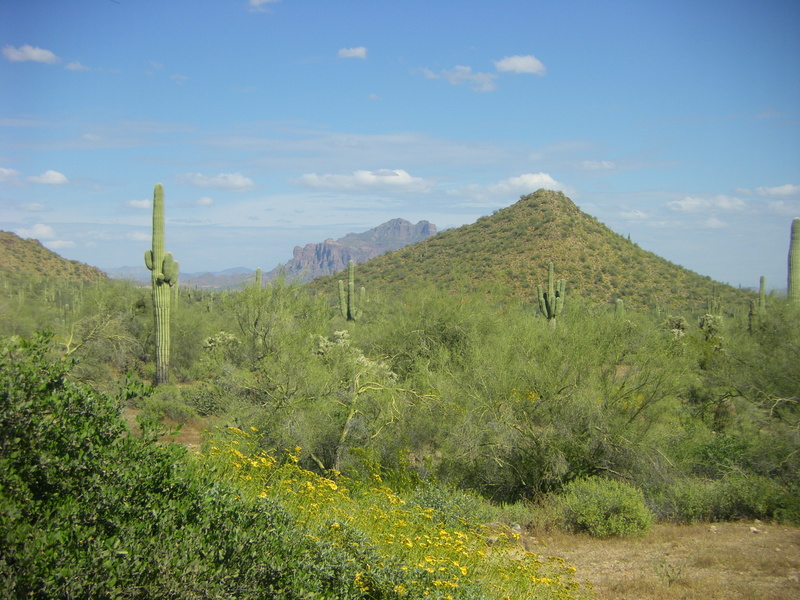 It may have been rustic, but it was unmistakably Arizona, and we were sleeping next to the dramatic scenery of the Usery Mountain trail, our planned 7 mile loop for the day. The next morning a good breakfast was to set us up well, but I knew as we enjoyed the luxury of a second coffee cup, that their earliest breakfast service started way too late, and sure enough we didn’t hit the trail until after 9am when the it was probably already 80+ degrees Fahrenheit in the shade. 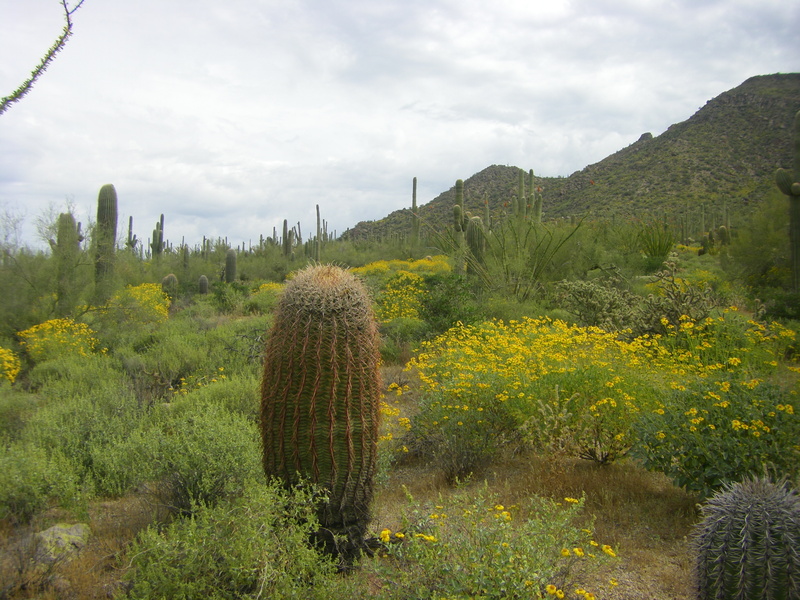 The trail started among pretty desert scrub and more cacti than I had ever seen in one place. Our packs were filled with almost nothing but water. 2 litres per hour had been the recommendation, which seemed excessive at the time. But we listened and filled our packs with giant gallon jugs. The climb was slow and easy, but the heat soon made everything much, much harder. It was a lot harder to cover a mile in 100 degree heat than in the coolness of the English countryside. From the higher levels the views were wonderful. But boy was it hot! And we drank vast quantities of water as they warned we would. We stopped frequently to rest and grabbed shade whenever we could. Around early afternoon we took a wrong turn and wasted an hour doing an unplanned loop back up to the trail that we lost. That wasted energy, water and emotional reserves, but thankfully a French couple were heading home to their car and left us the rest of their water. We’d have made it back without the extra, but it made a great psychological difference and was just the boost we need for the last section ahead. 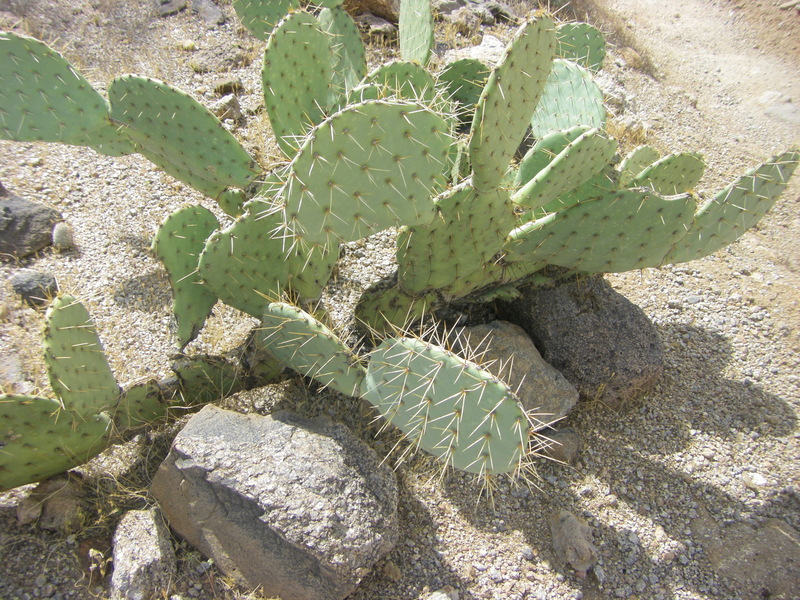 As I stumbled on through the heat, I decided that “there and back paths” existed for a reason in the desert, offering you the opportunity to turn around at any given point knowing how much time and energy there was left to commit. With loops you just had to keep going into the unknown. It turned out that the last part of the walk was probably the easiest. A gentle downward or level path in a relatively straight line, that eventually took us back to the car park where we started. But I see this only in hindsight as that last stretch felt like it nearly killed me. 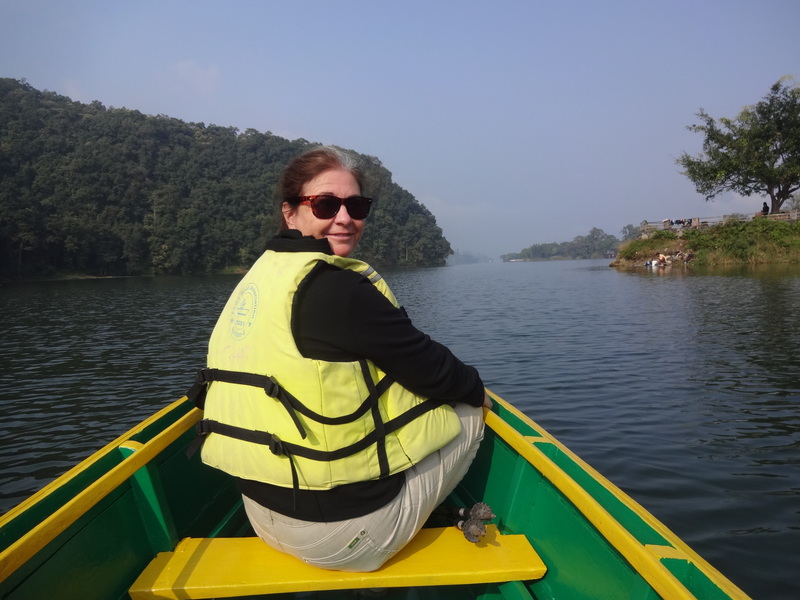 I am just not a hot weather hiker, and I wasn’t to feel that kind of intense, brain-boiling heat again until Pinatubo or Pico de Loro in the Philippines. 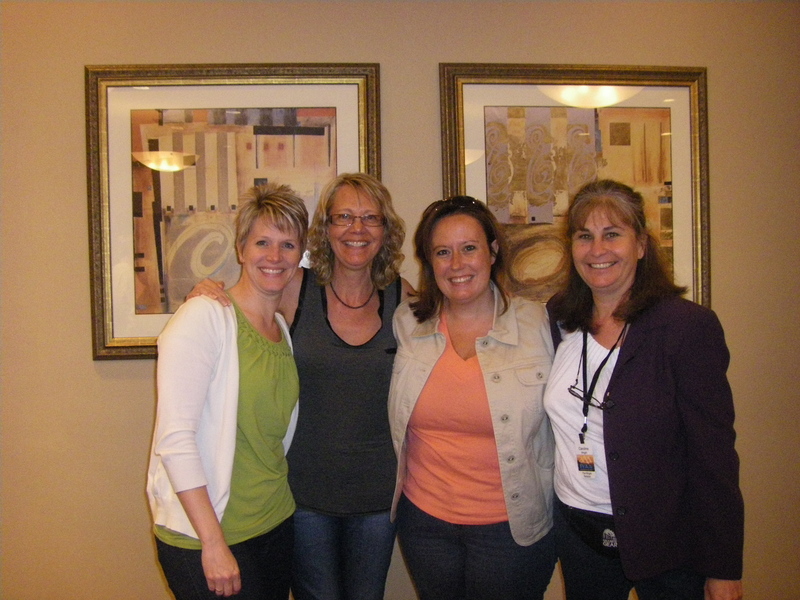 Thank you ladies for sharing the adventure with me. We never got to blaze Oregon together the following year, but if you want a renunion in the the cooler Himalayas…let me know!